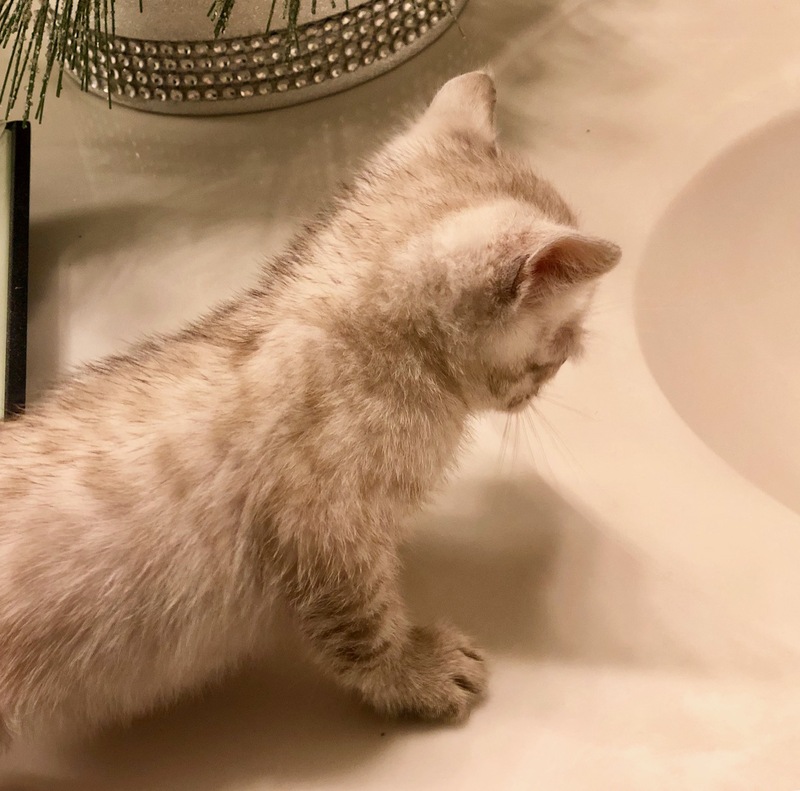 "When I look at you, I can feel it. 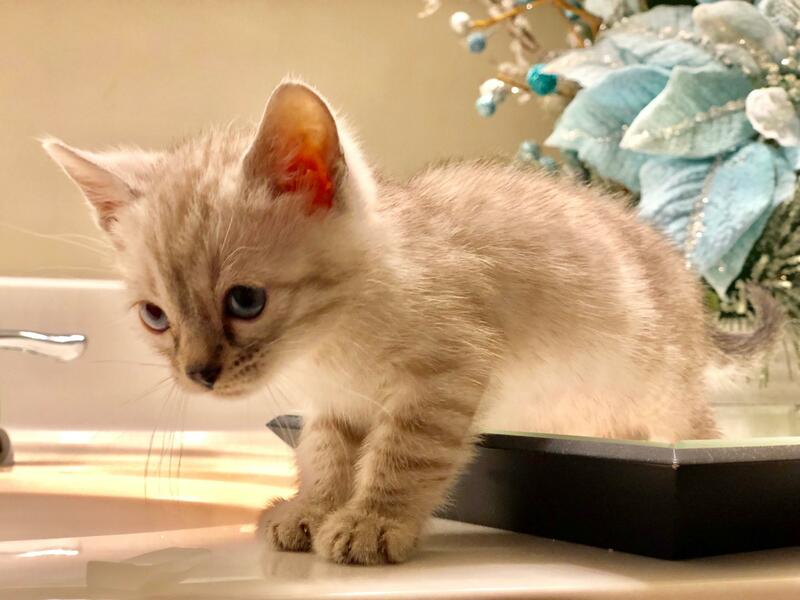 I look at you and I am home" ~ Dory, Character from "Finding Nemo"
"Sally" Seal (Spotted) Lynx Point Female- This little girl has a beautiful dark nose, small to medium ears, a thick tail and is nicely marked. 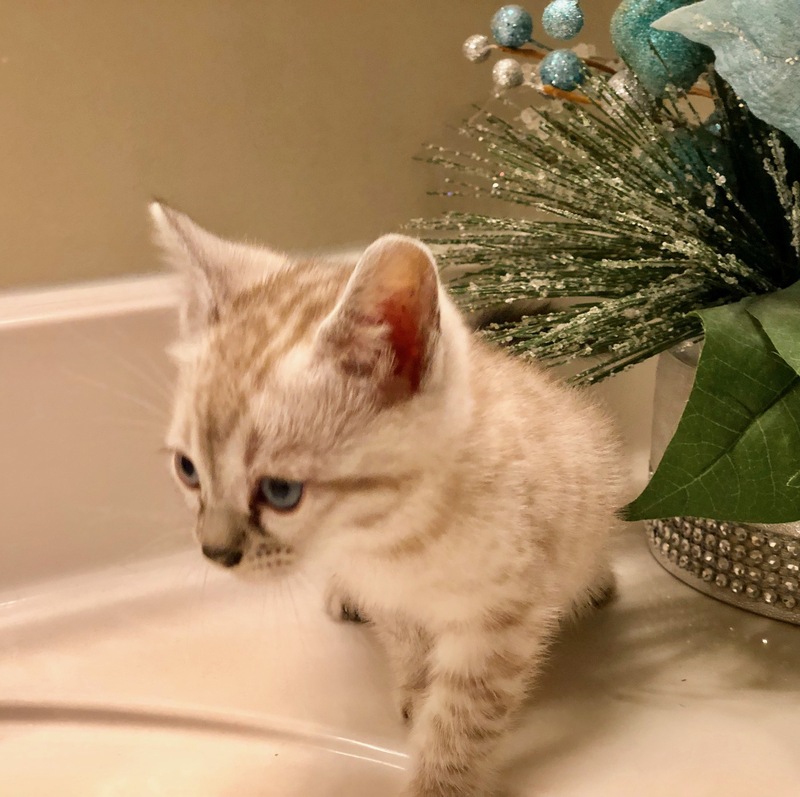 We just love Sally the Snow Queen. 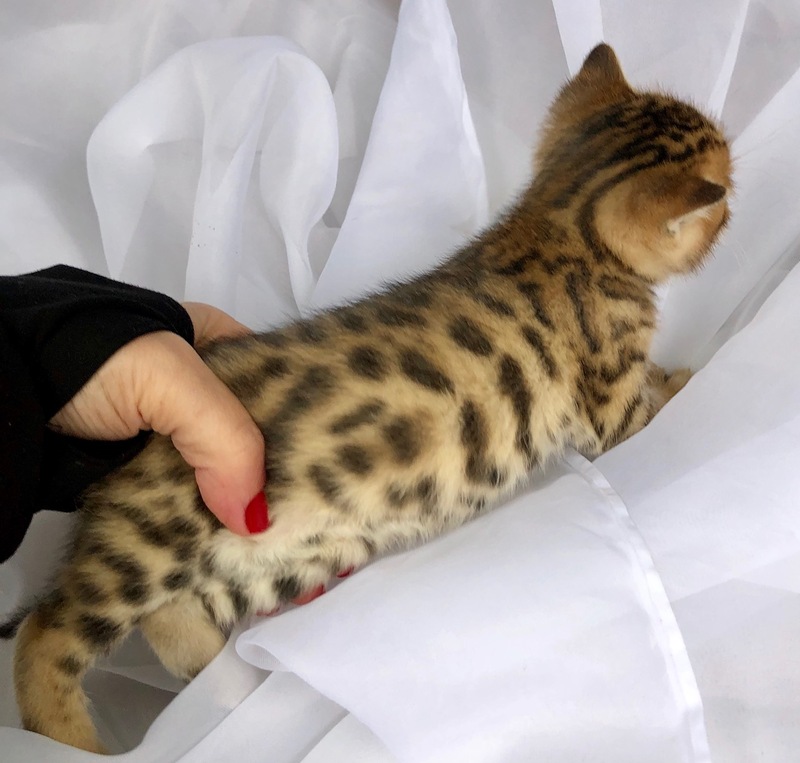 "Lucy" Silver Spotted Female- This stunning girl has rich velvety blacks with silvery whites. 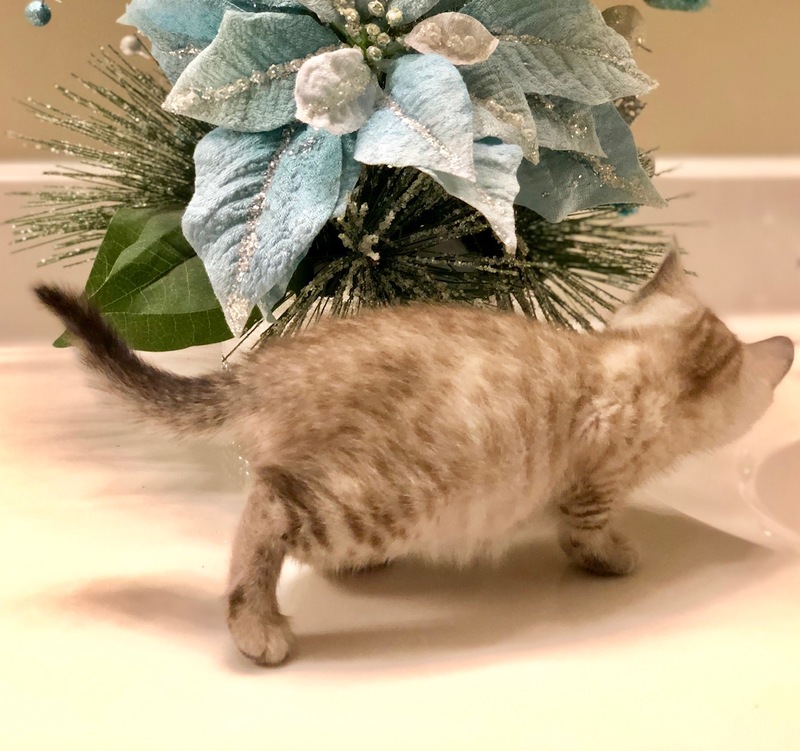 She has the highly desirable black nose. 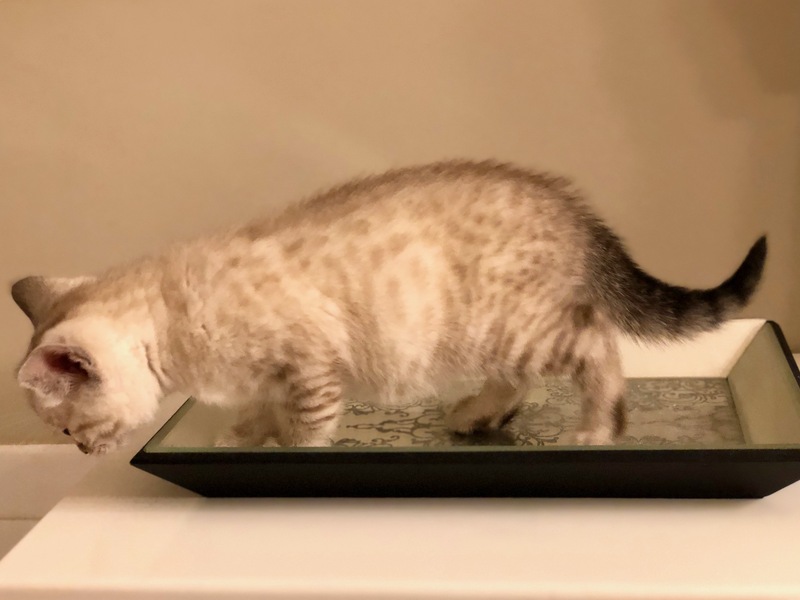 Her pattern will break up more and more as she matures. 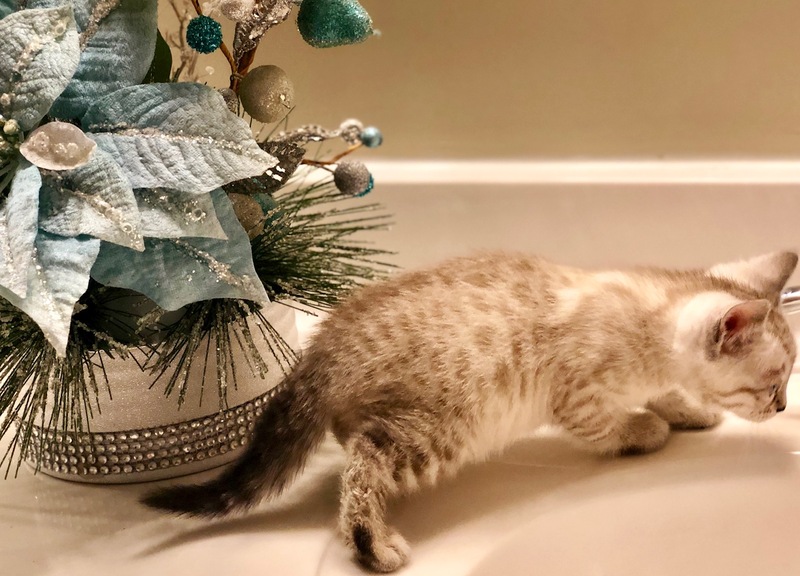 Her personality is spunky and playful. 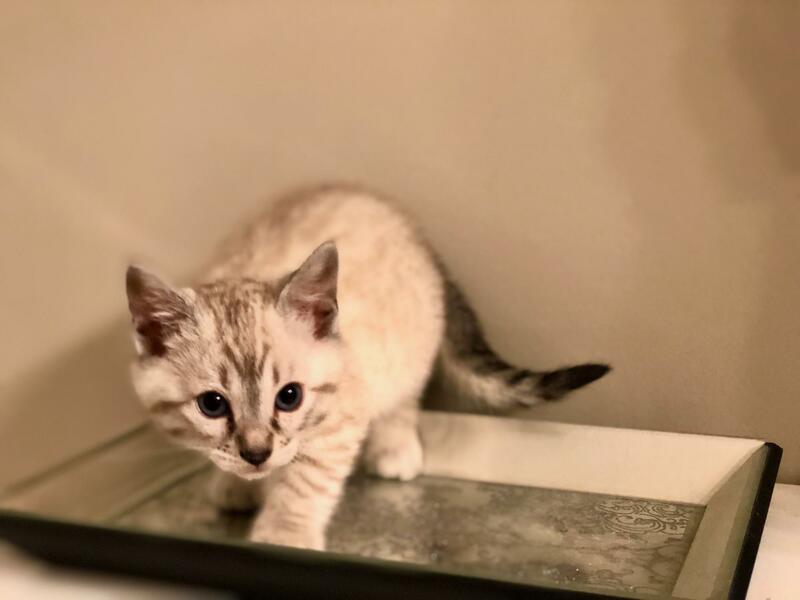 "Charlie" Seal (Spotted) Lynx Point- Charlie is stunning. 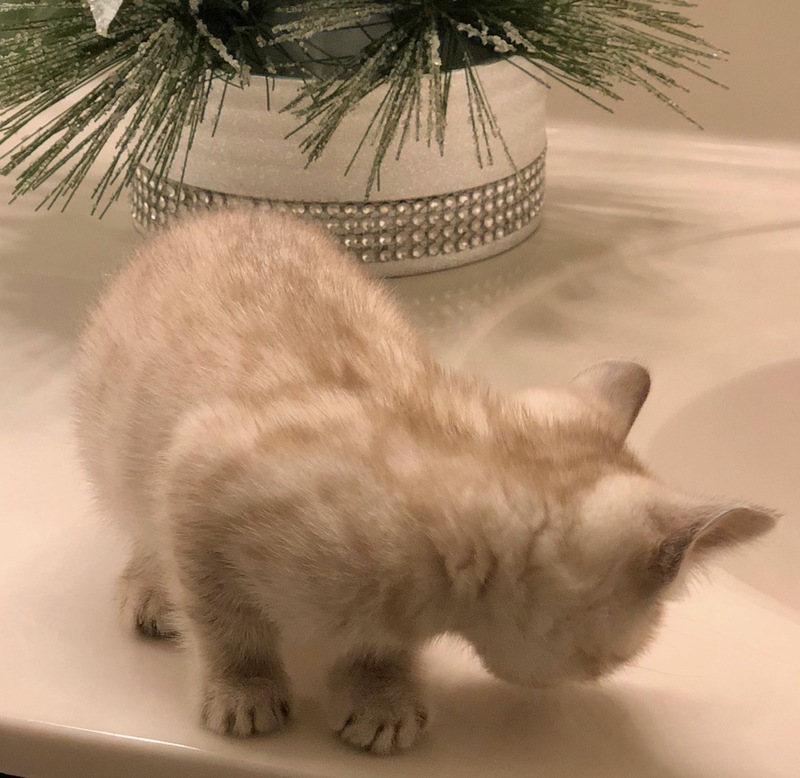 he has a completely black nose and his whites are the brightest. 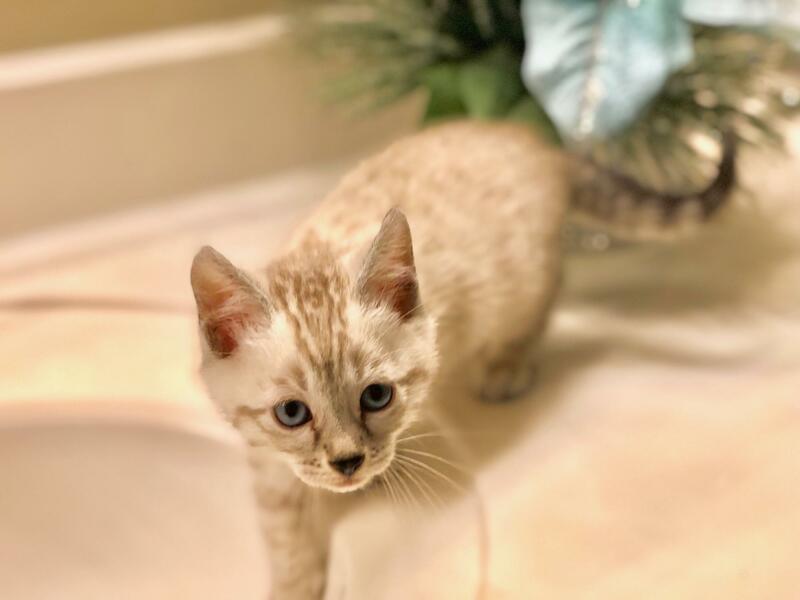 Seal Lynx Point Bengals are the only color Bengal to keep blue eyes. 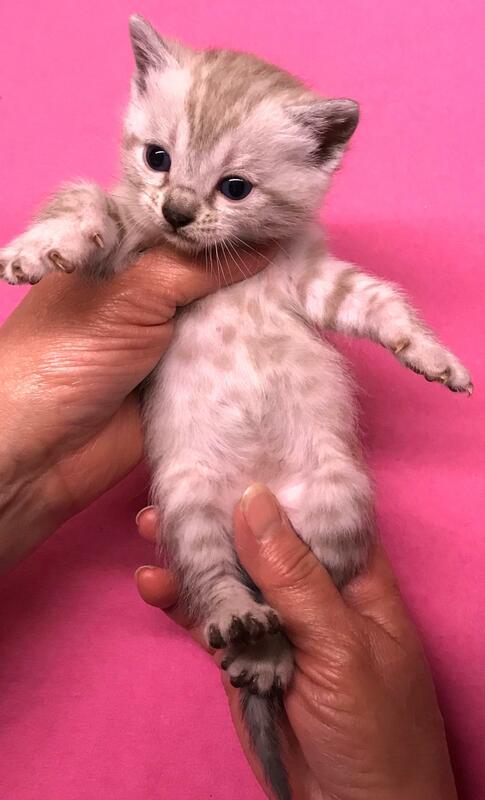 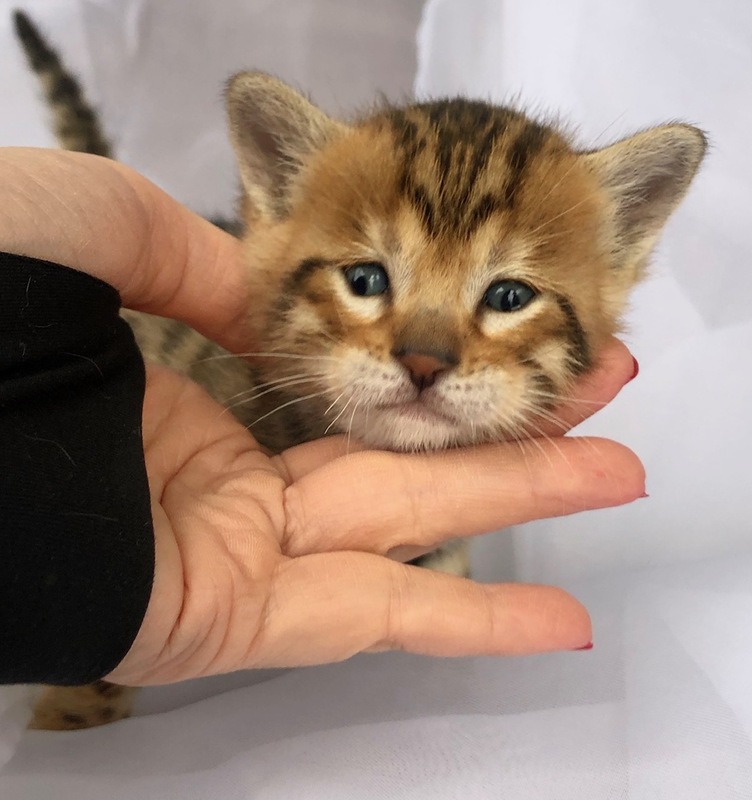 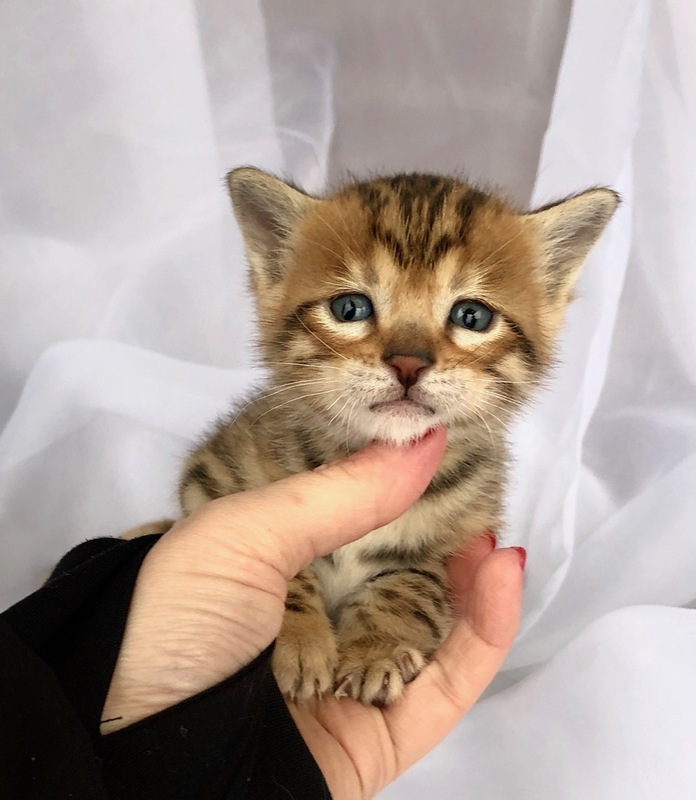 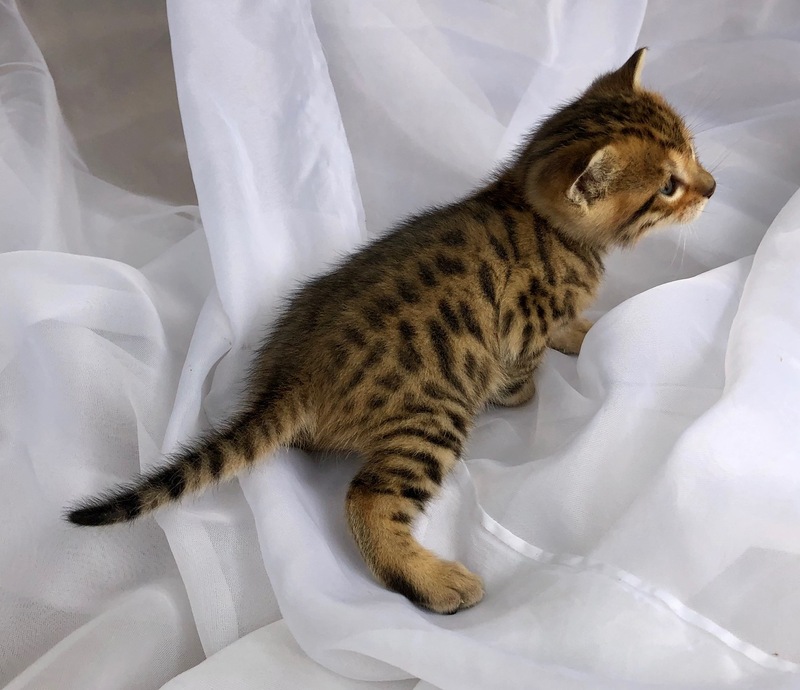 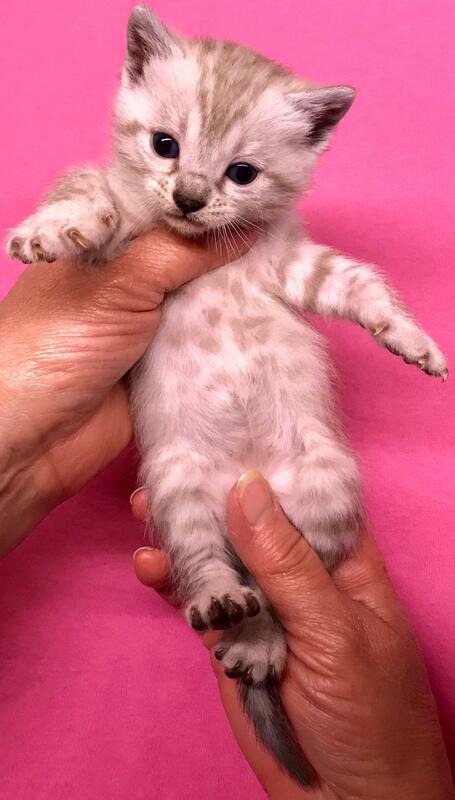 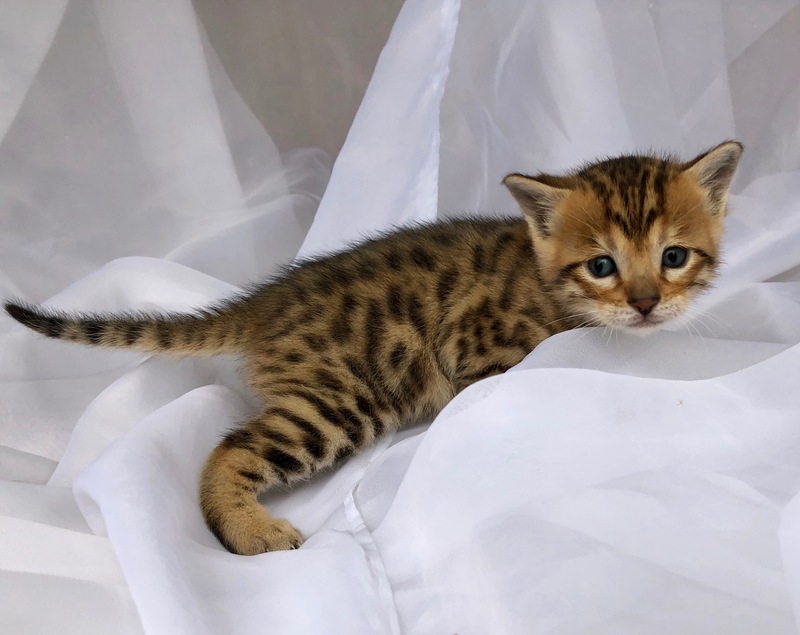 They are born completely white and their spots develop over the first two years of life. 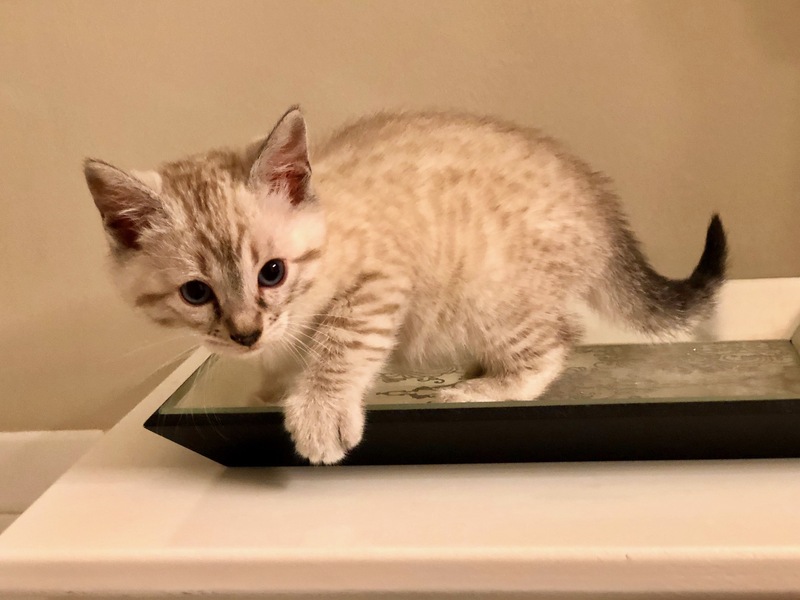 "Linus" Seal (Spotted) Lynx Point- Little Linus has a creamier white closer to a Seal Mink Bengal but he is definitely a Seal Lynx Point. 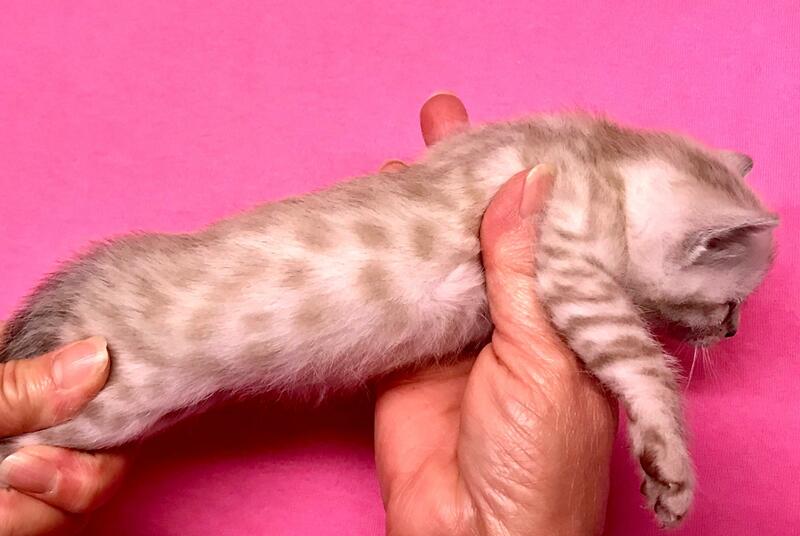 He already has nice contrast and he is loaded with spots. 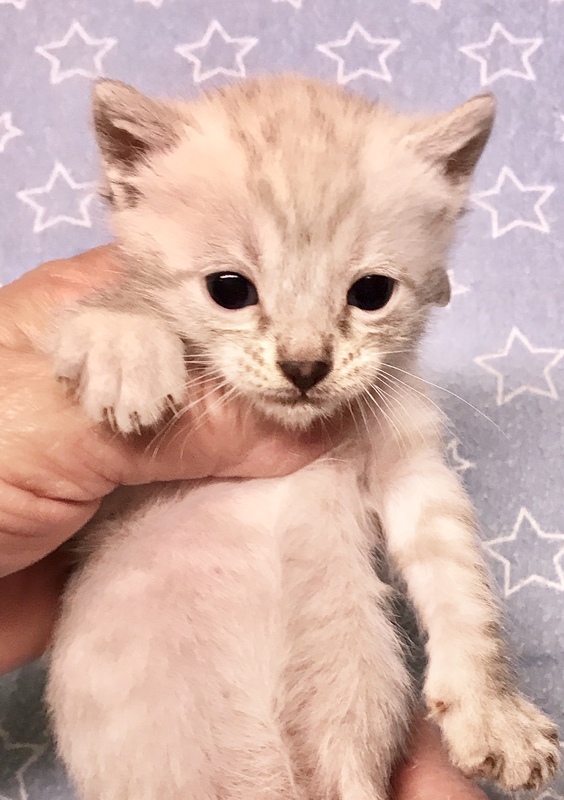 This boy is cute as a button and is going to be a real looker as an adult! 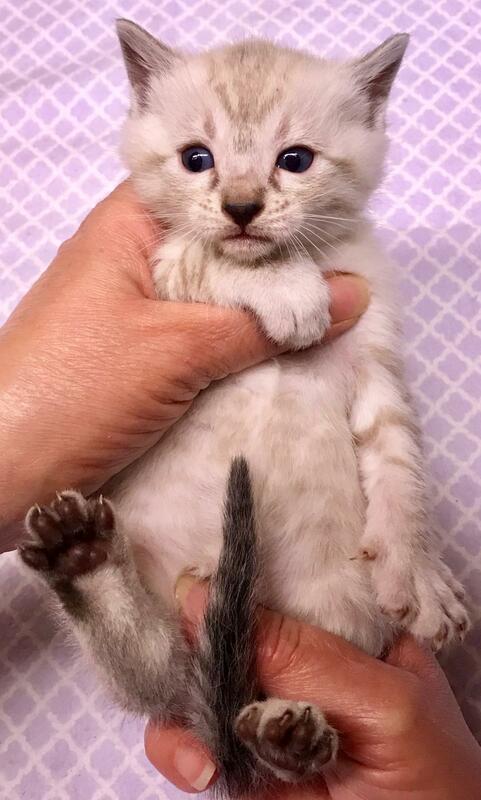 "Lorenzo" Brown Spotted/Rosetted male- This gorgeous boy has the most adorable teddy bear face. 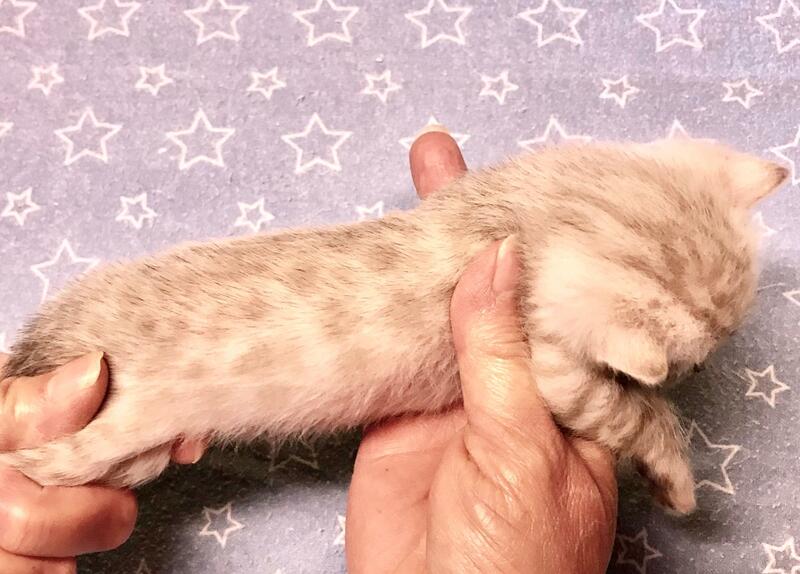 He is the largest in his litter and he has gorgeous bright rust/orange browns or rufousing as we call it. 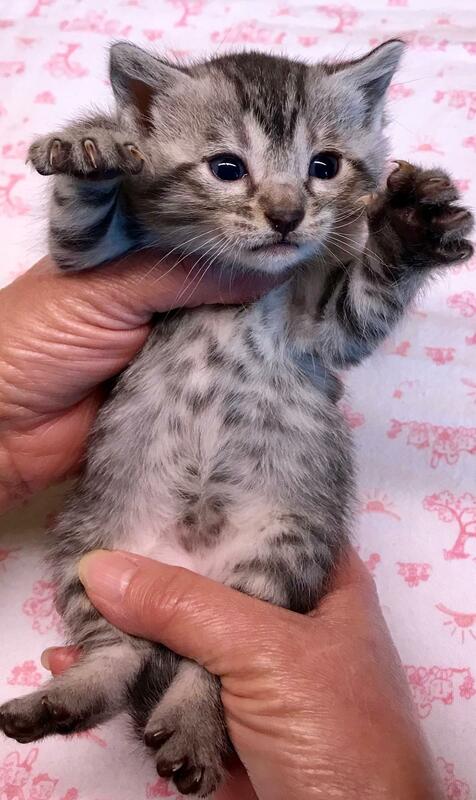 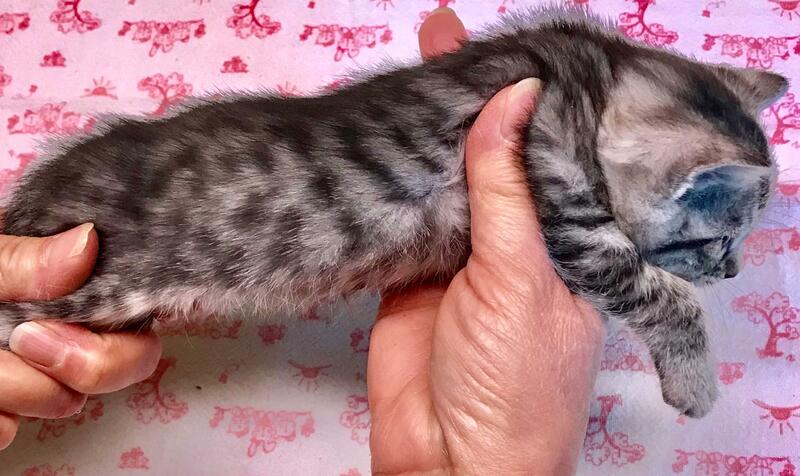 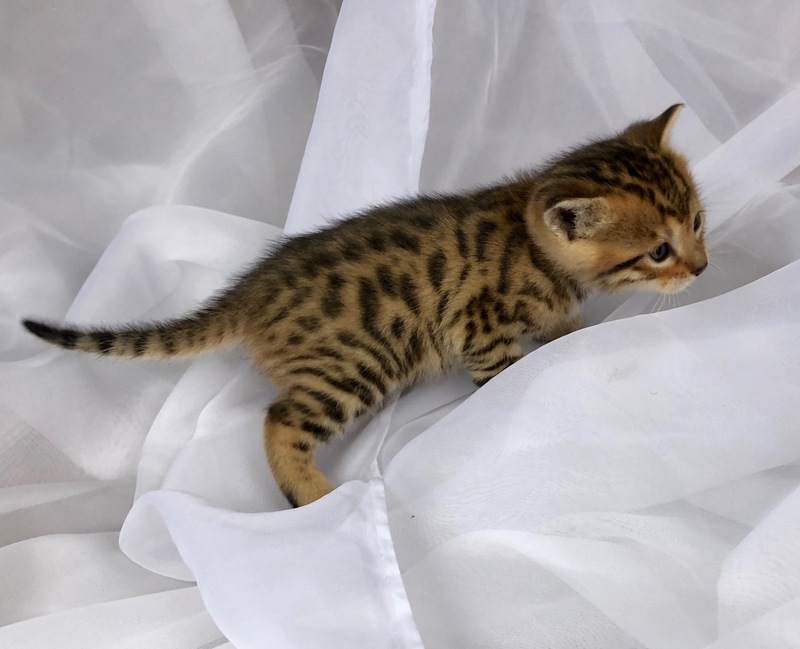 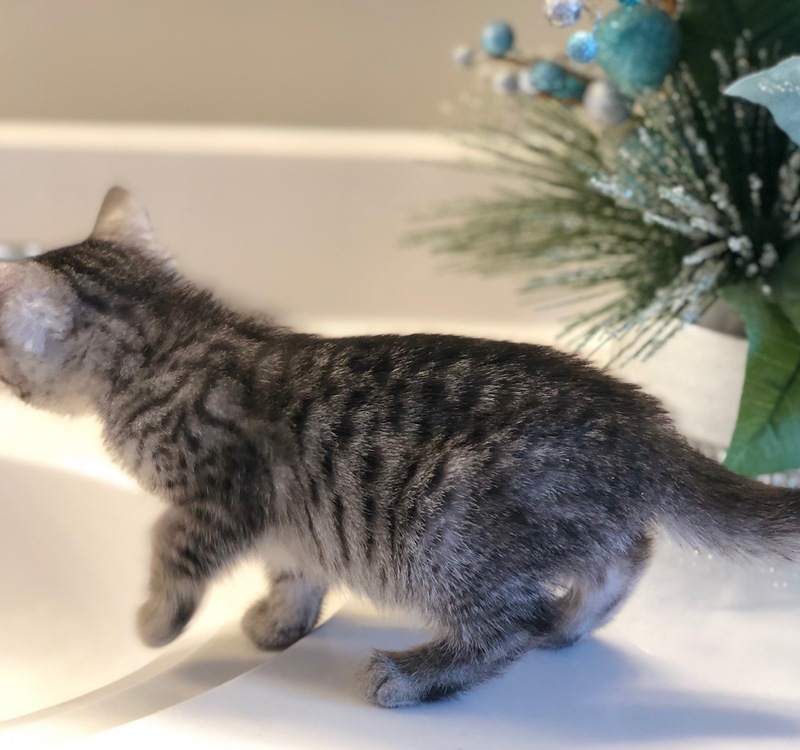 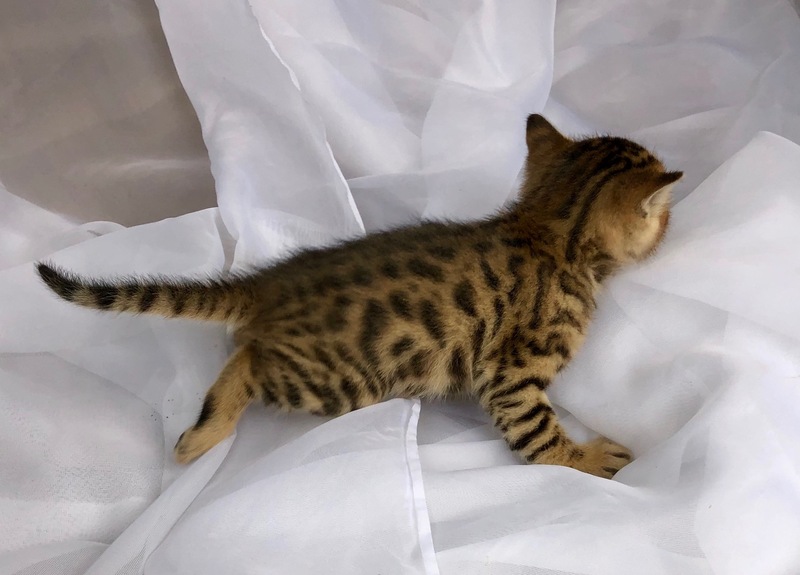 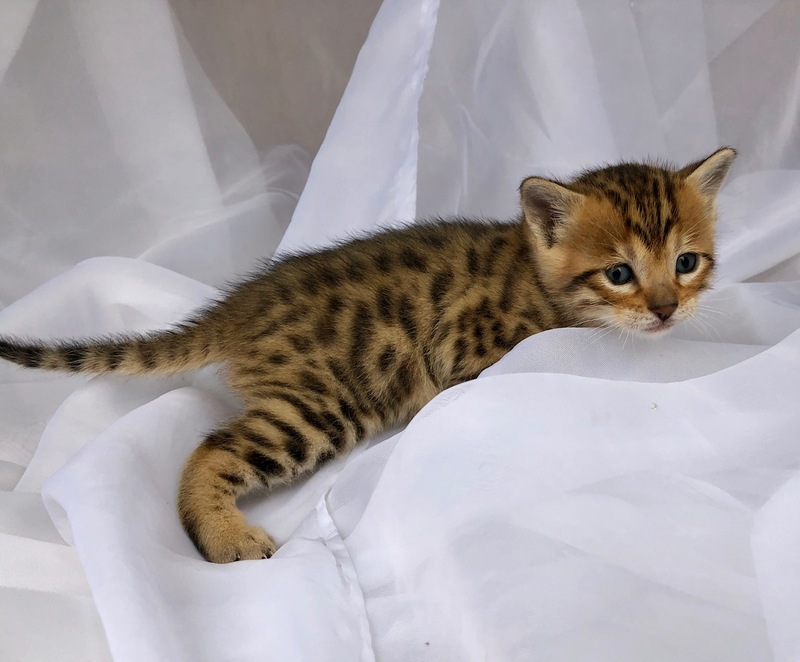 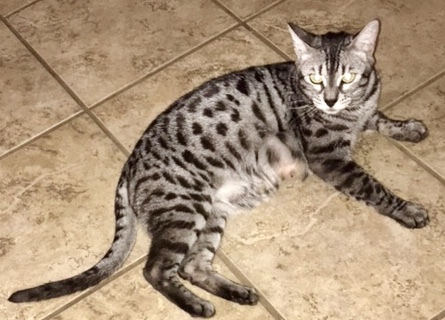 He is loaded with spots and we can't wait to see the handsome boy he becomes! 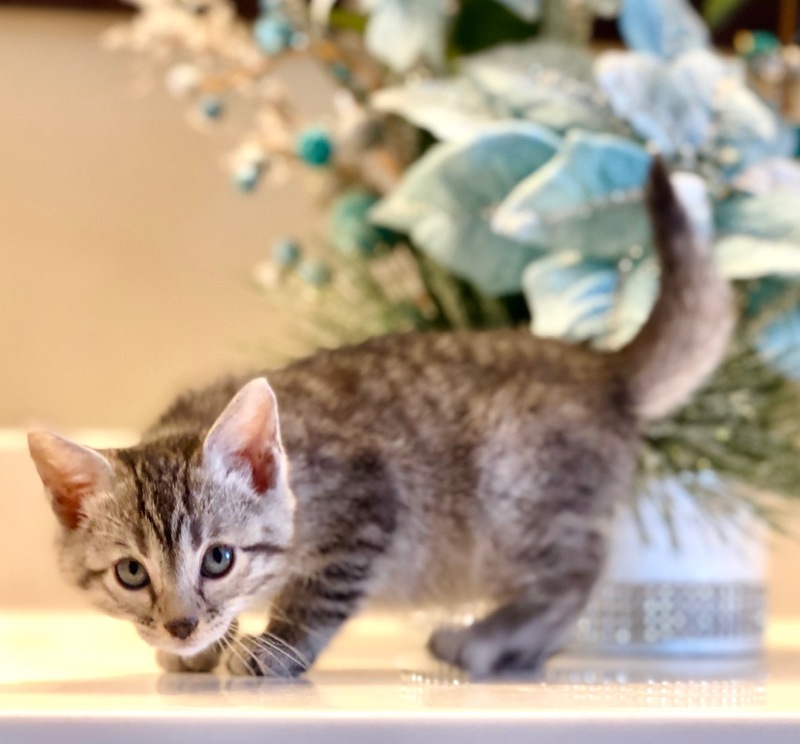 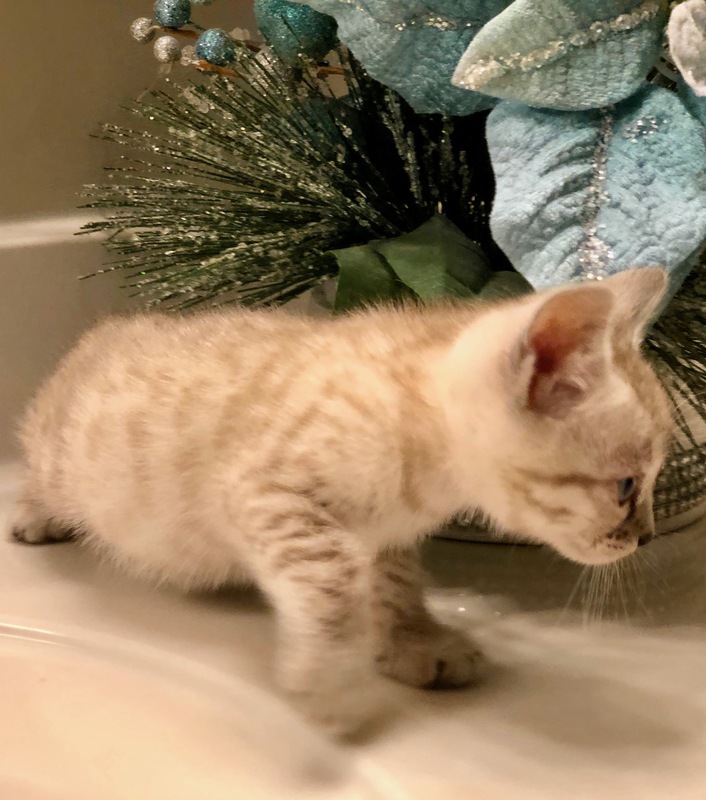 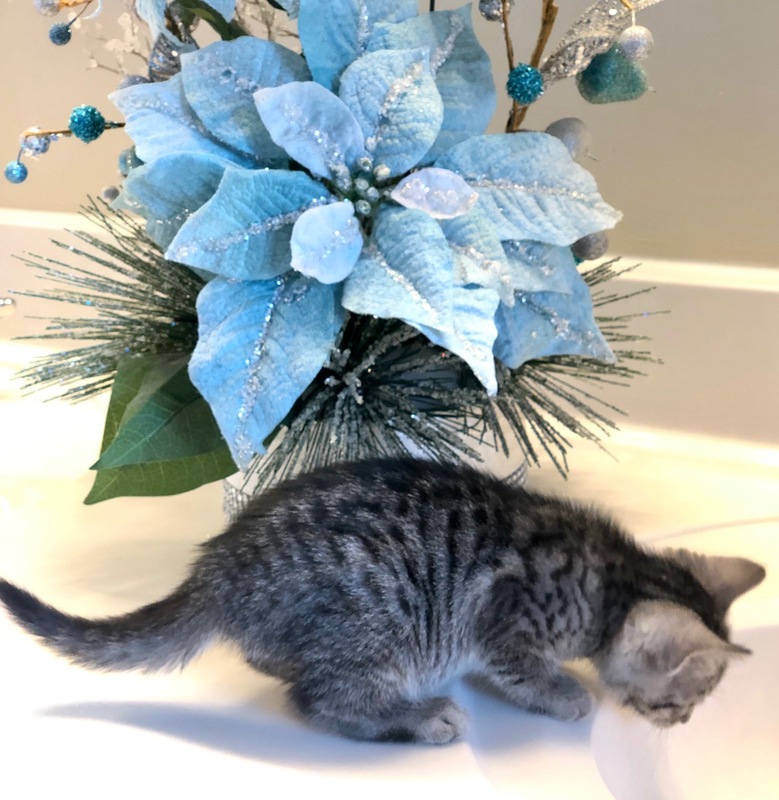 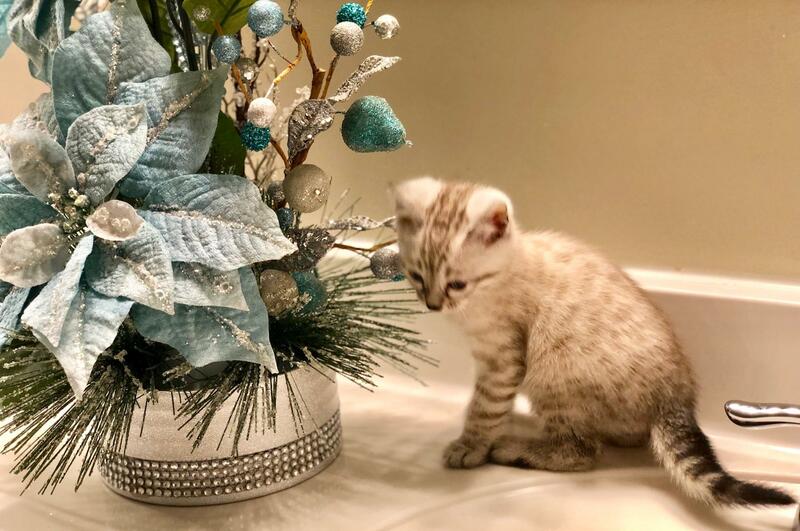 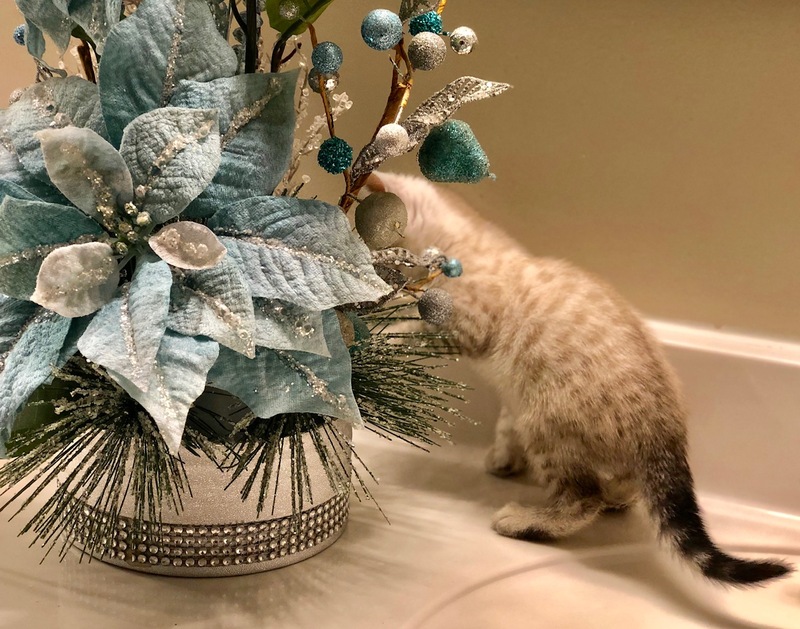 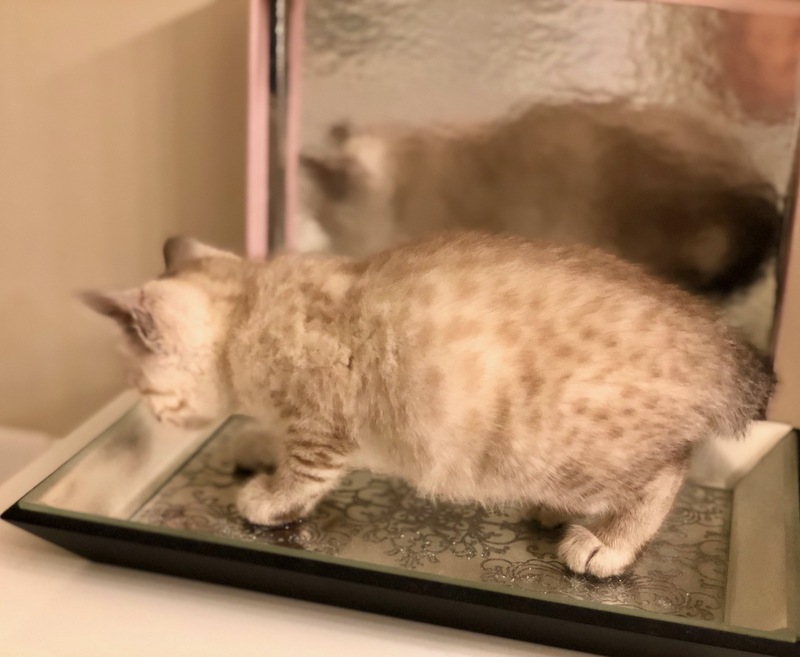 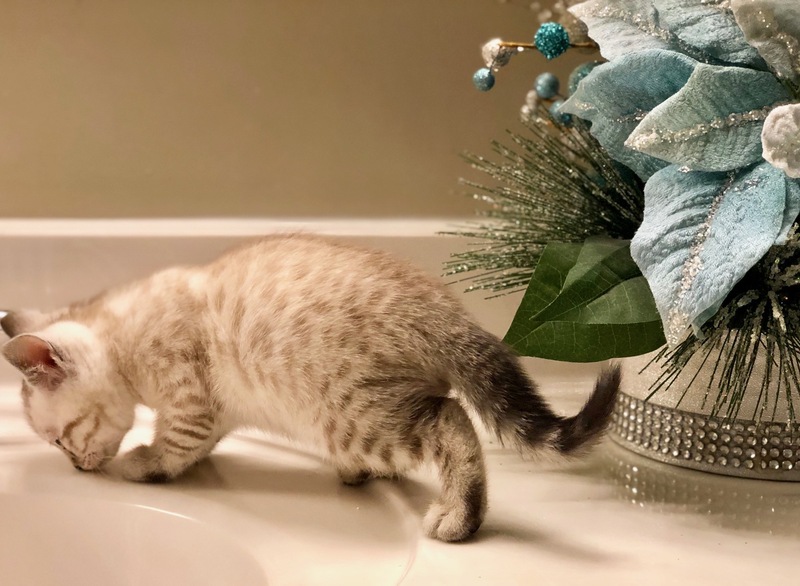 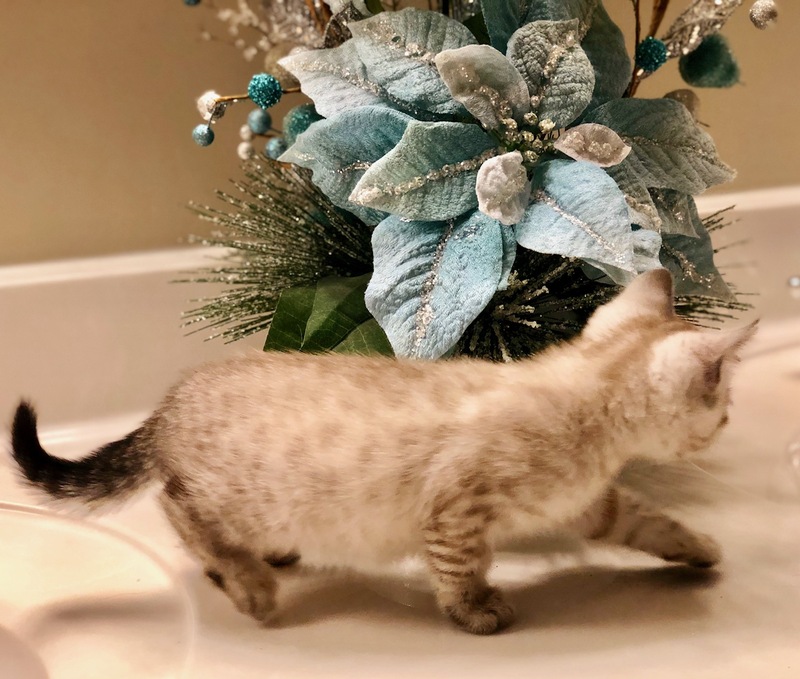 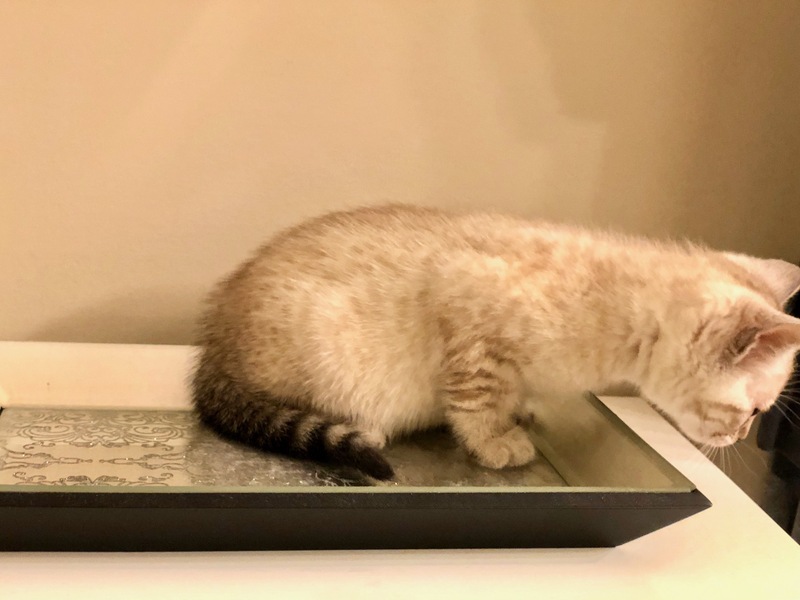 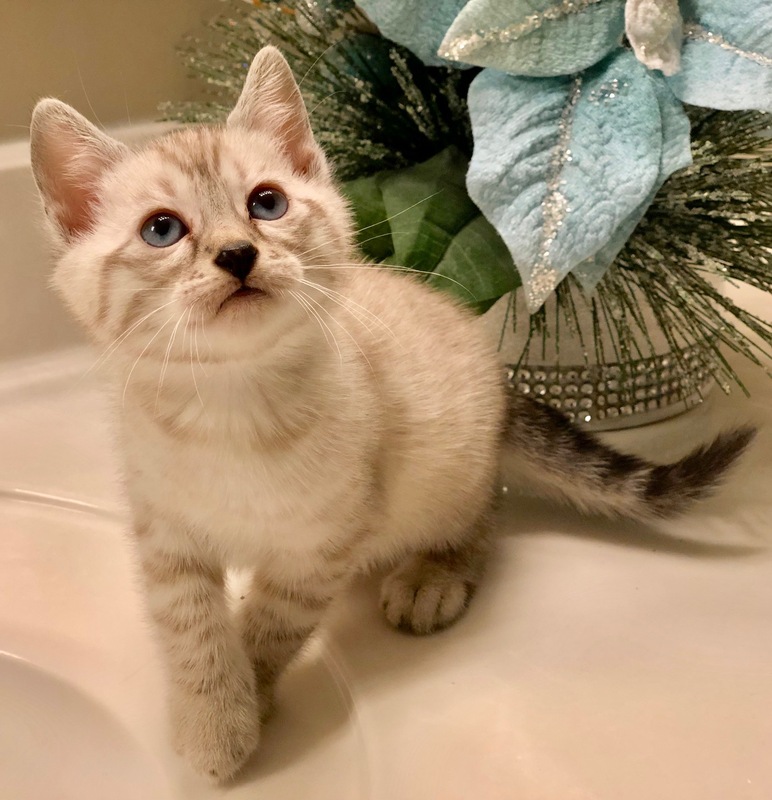 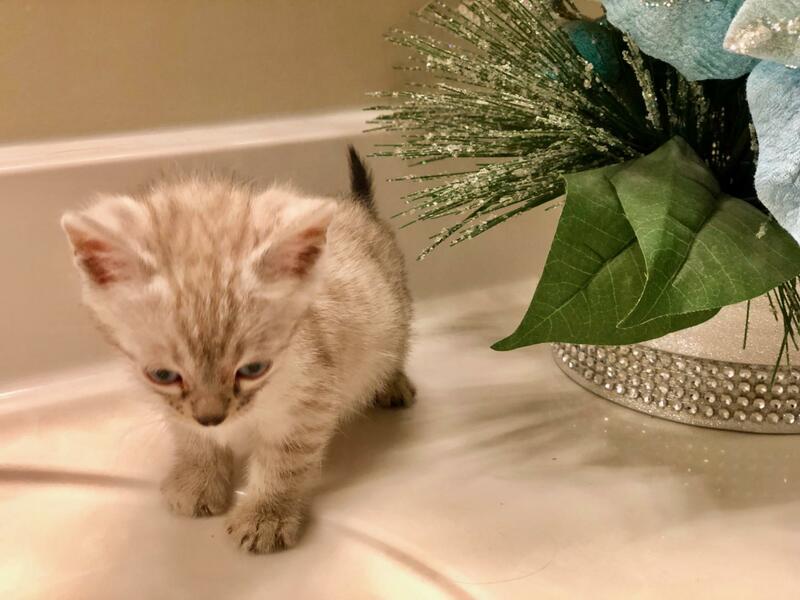 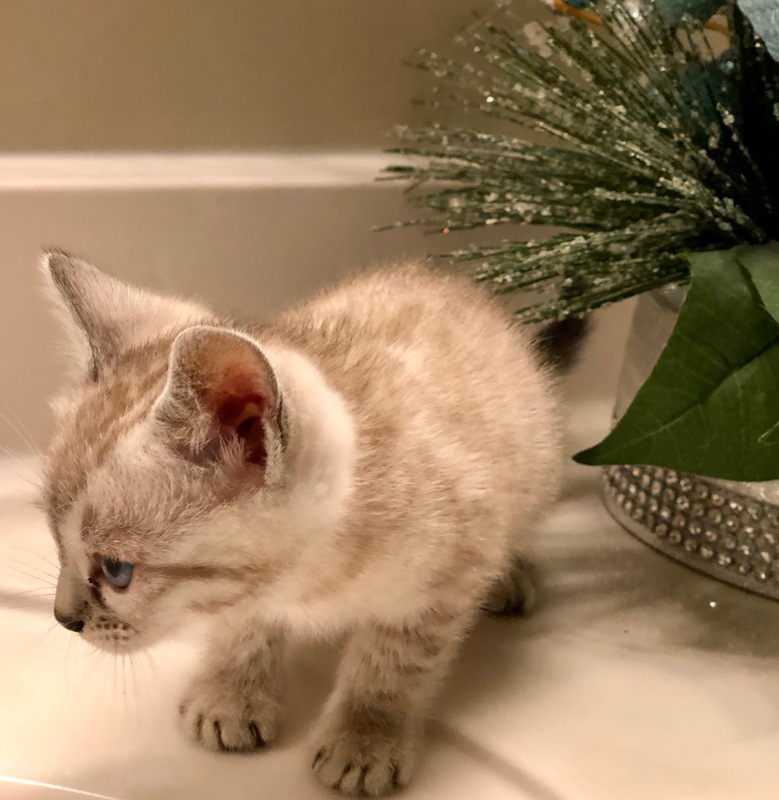 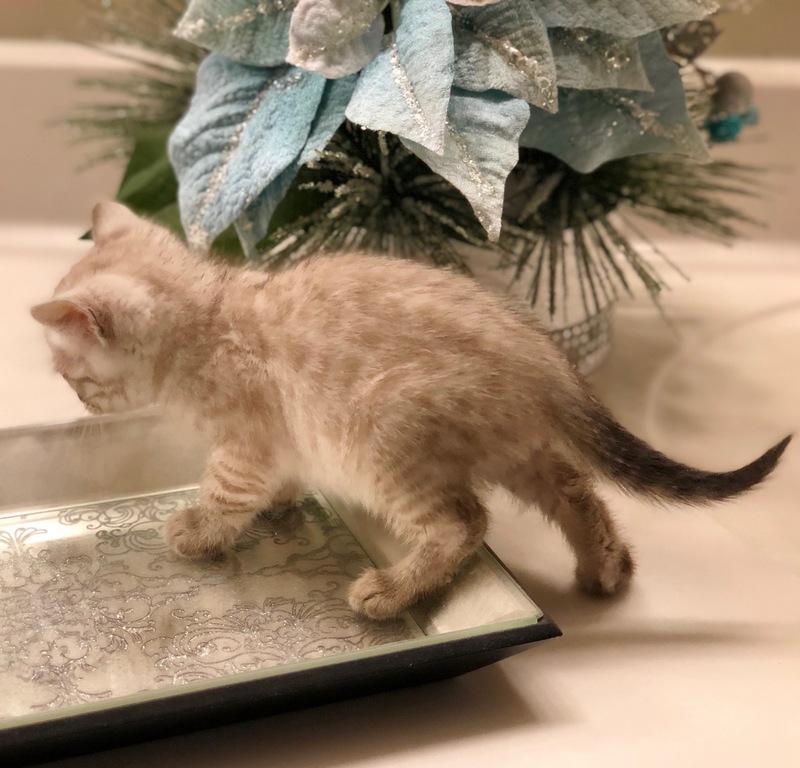 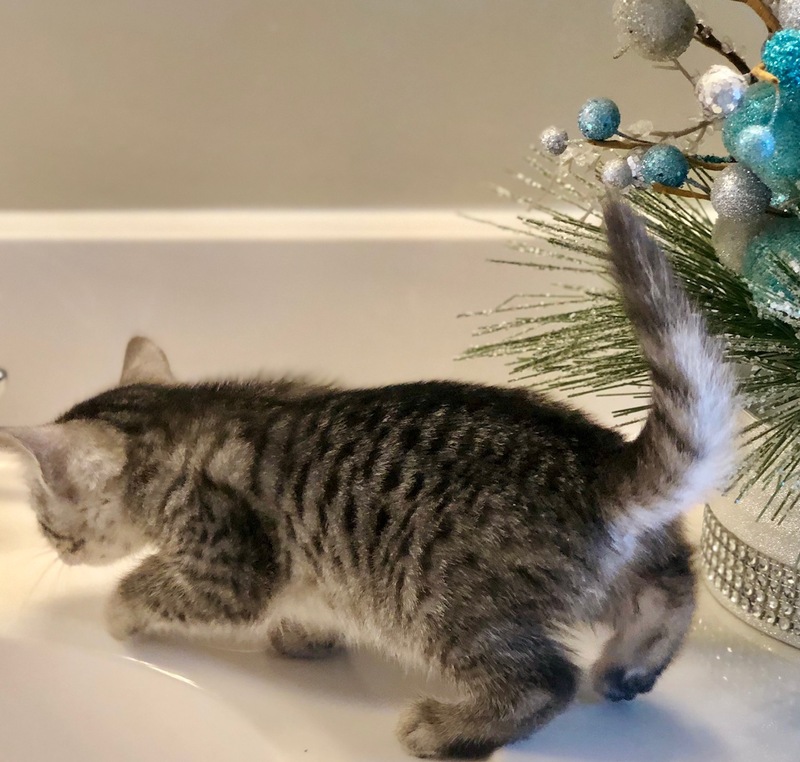 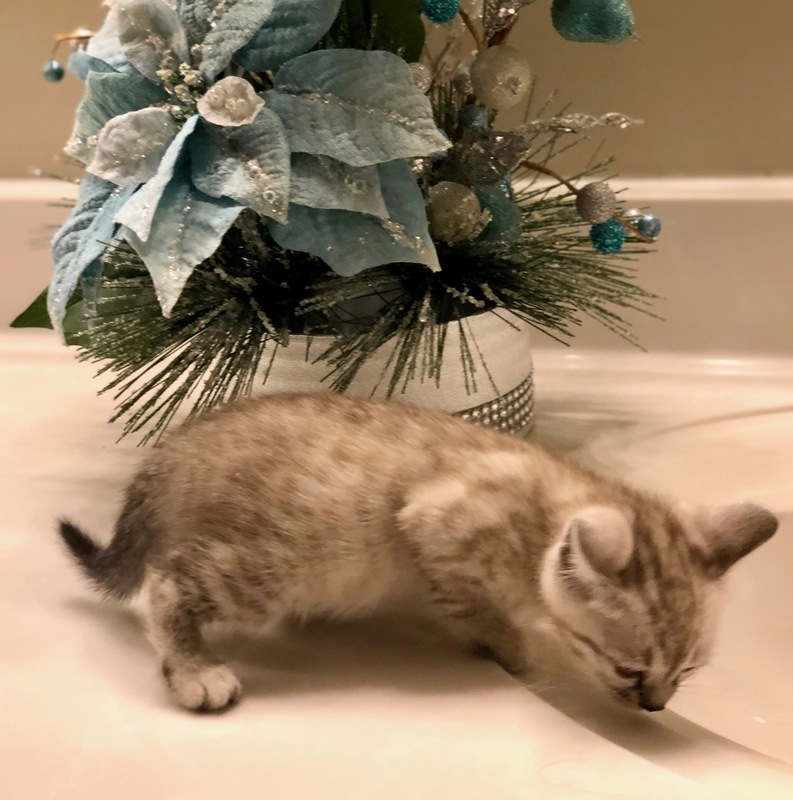 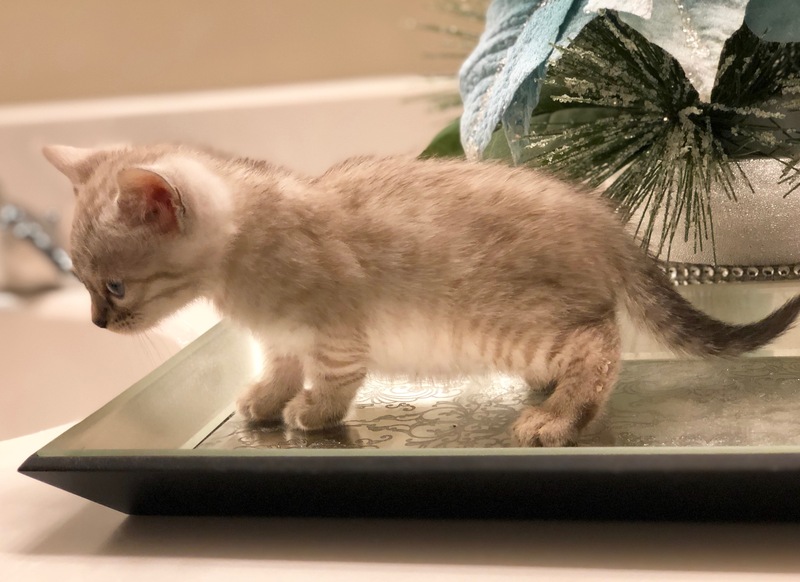 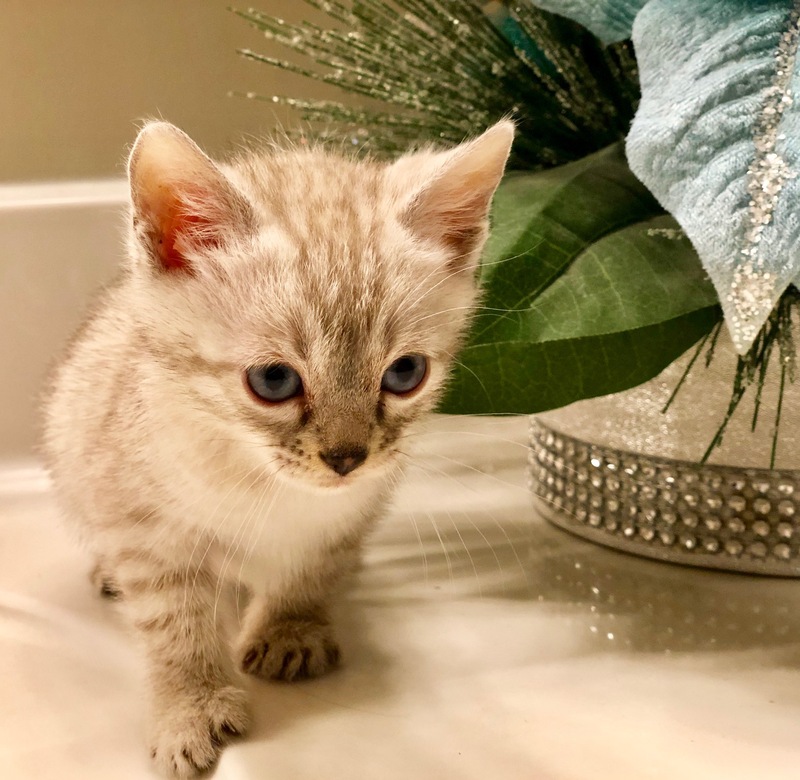 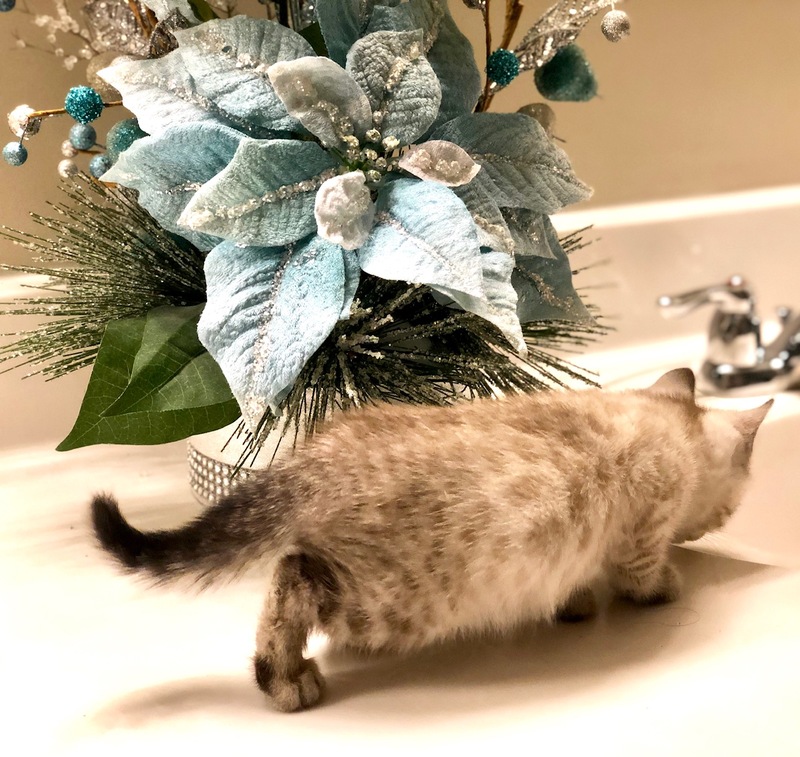 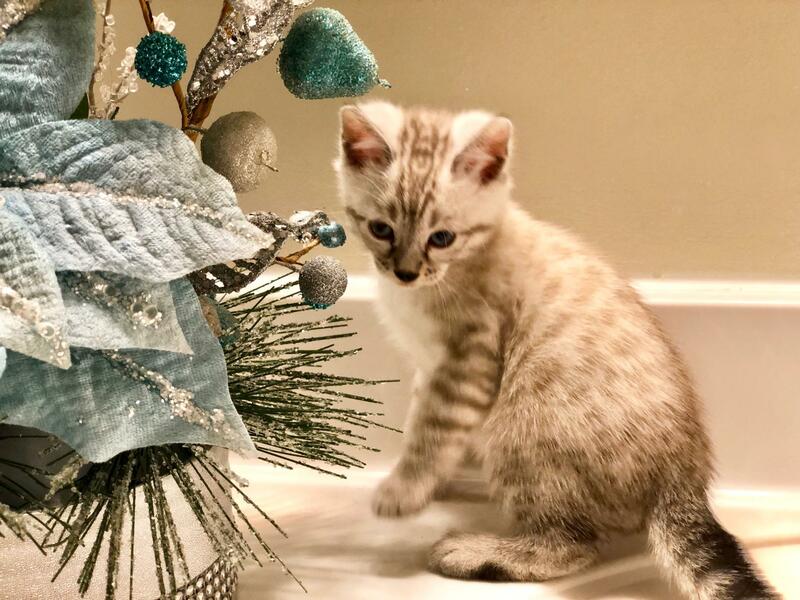 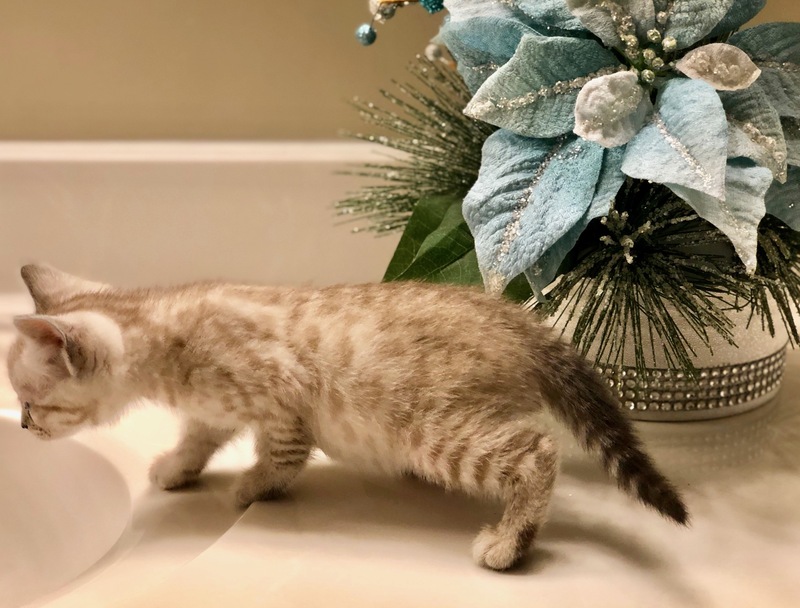 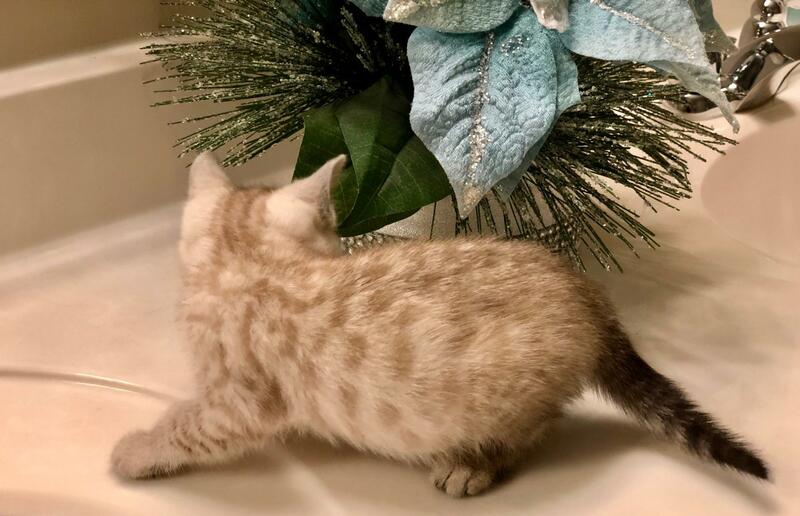 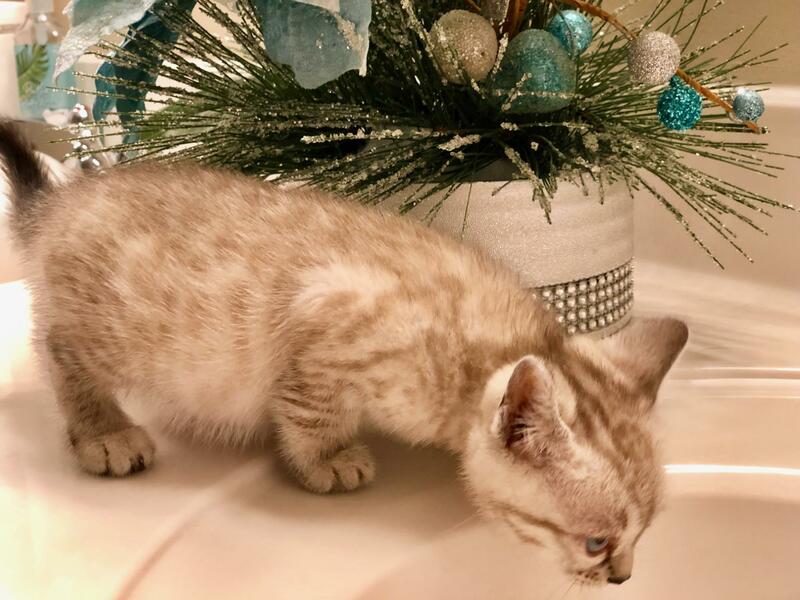 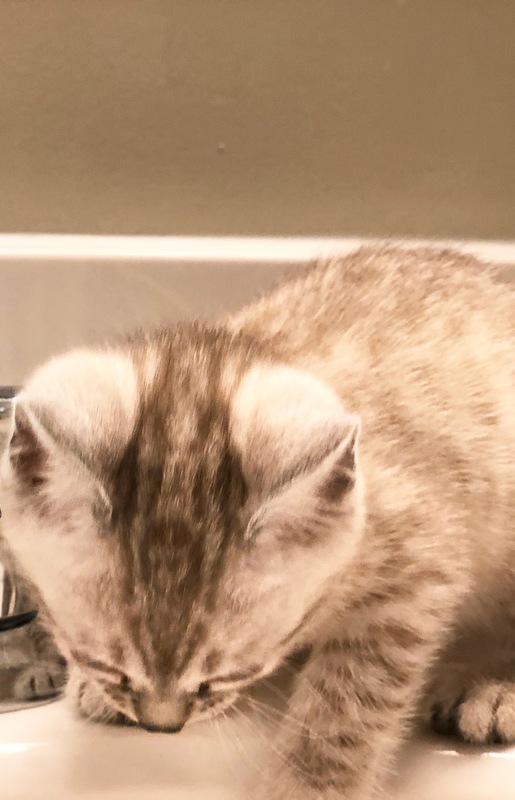 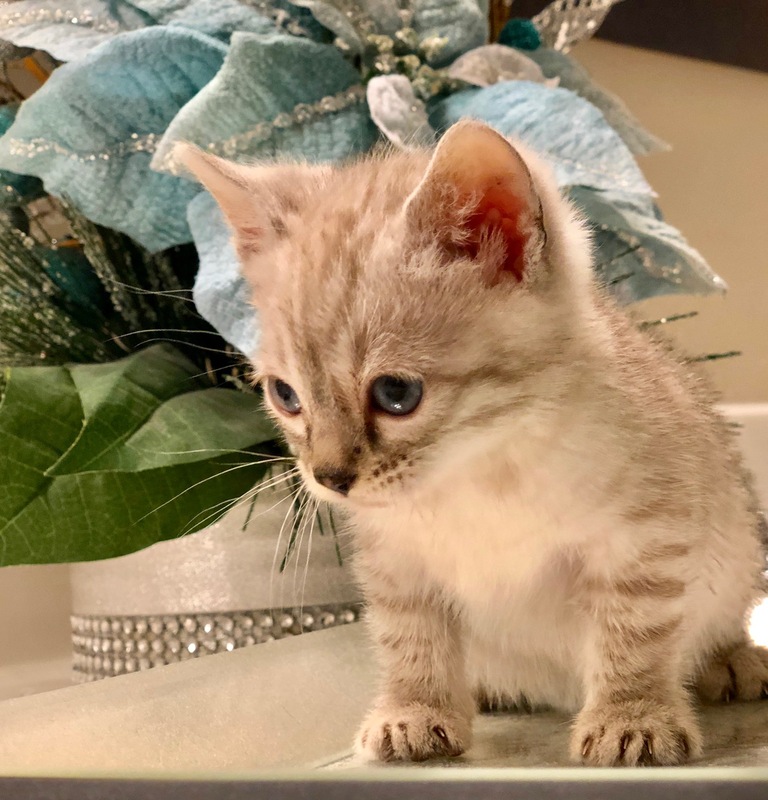 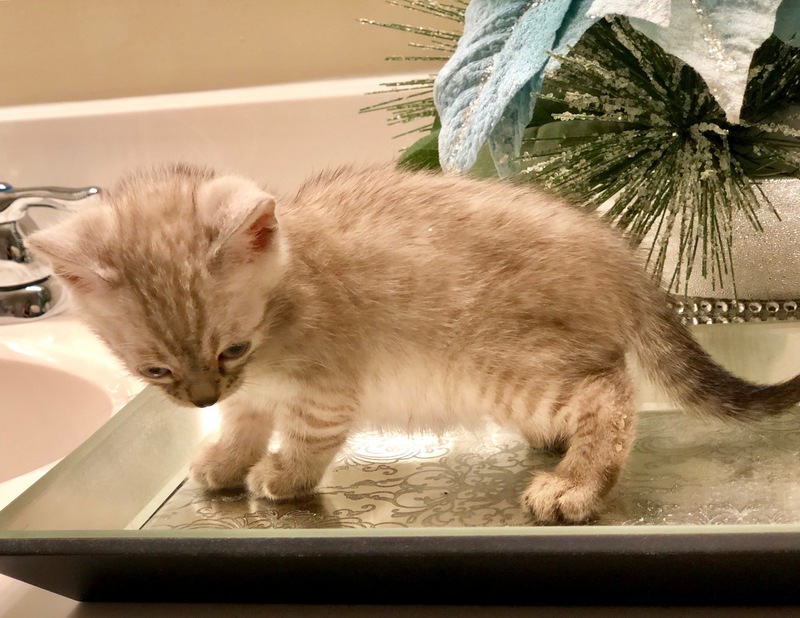 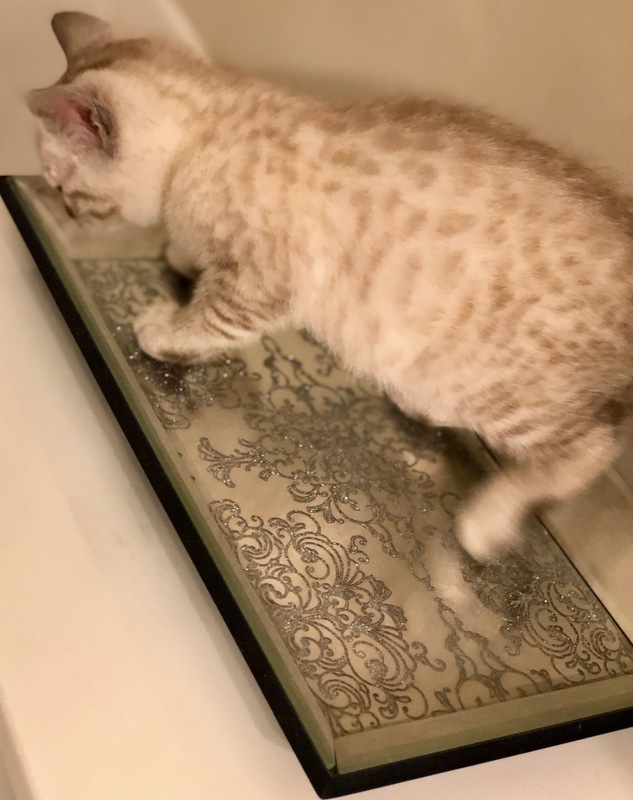 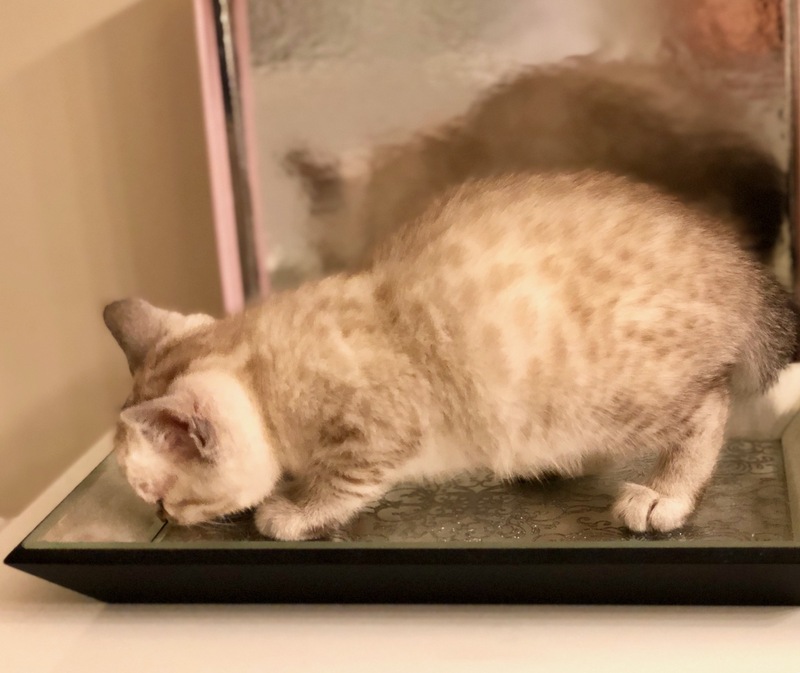 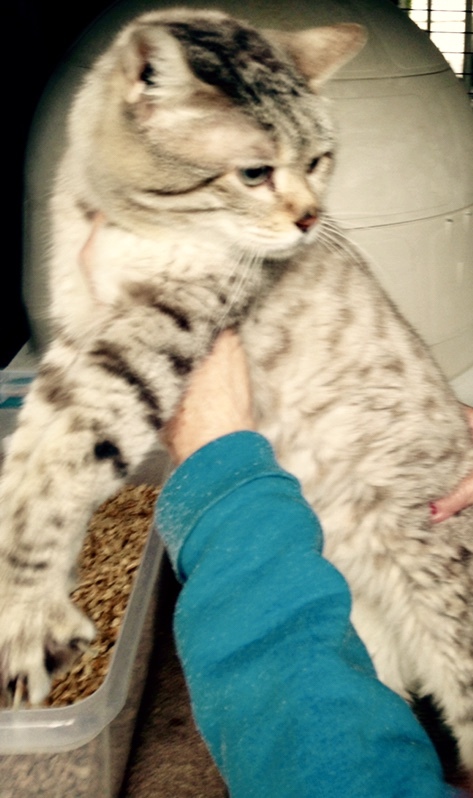 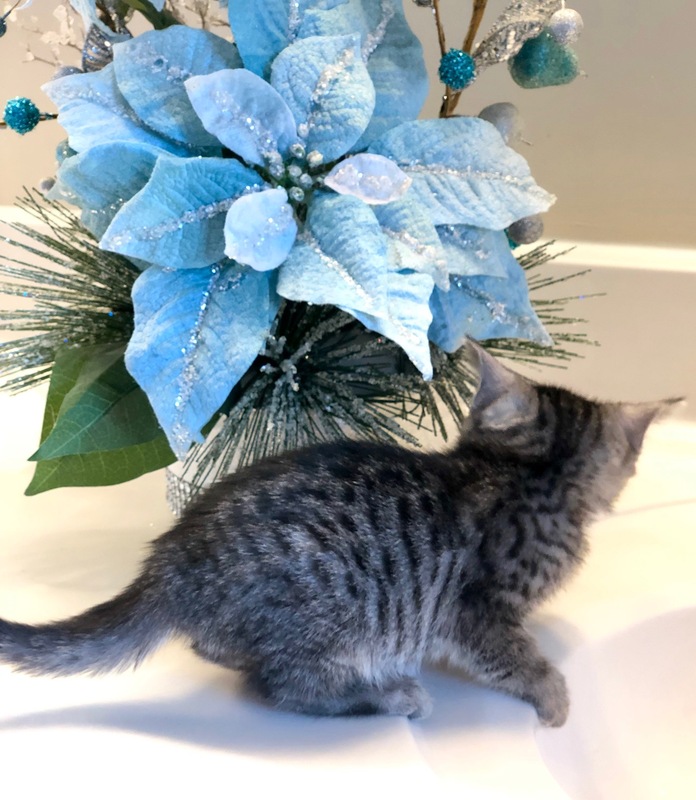 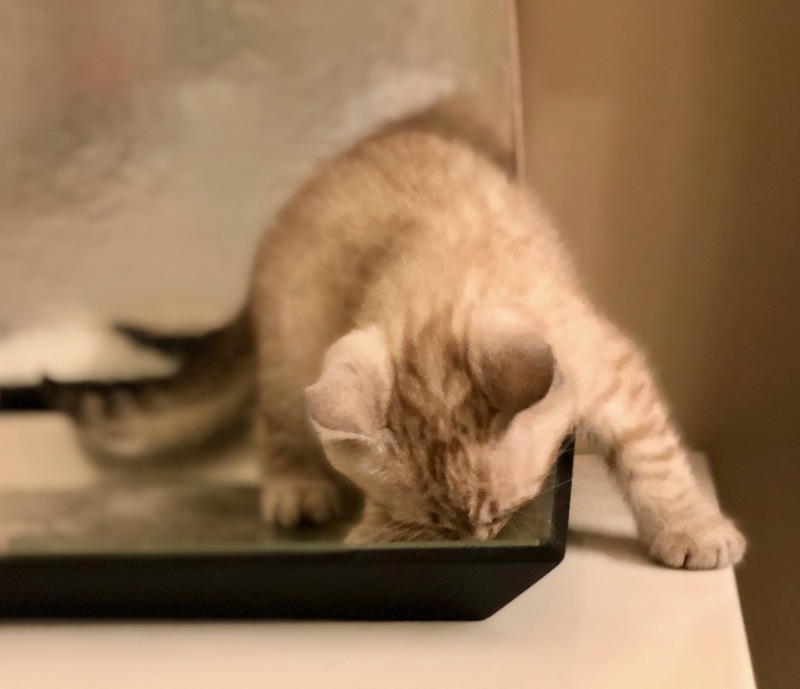 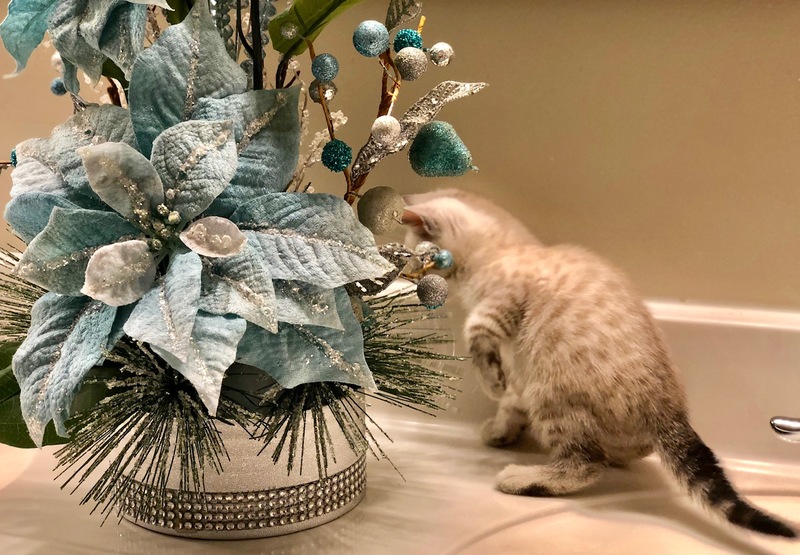 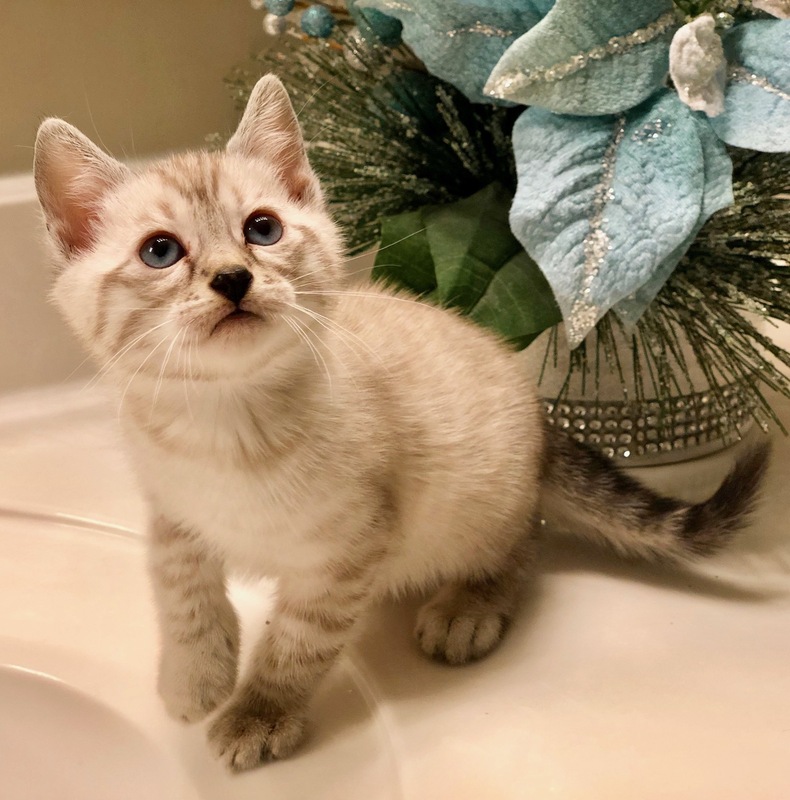 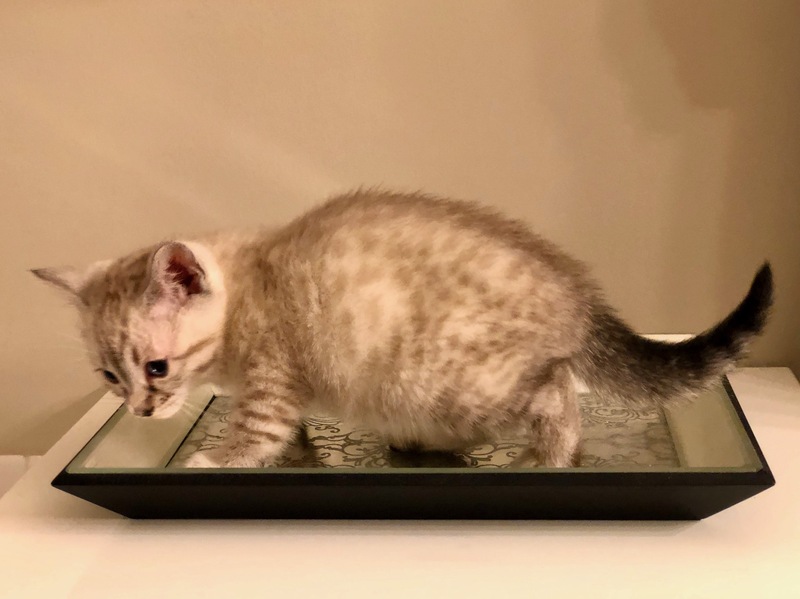 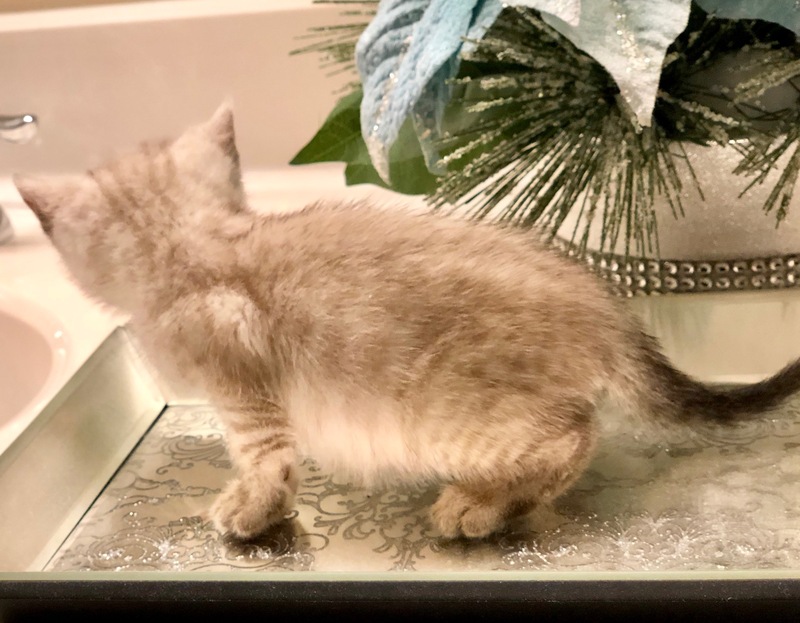 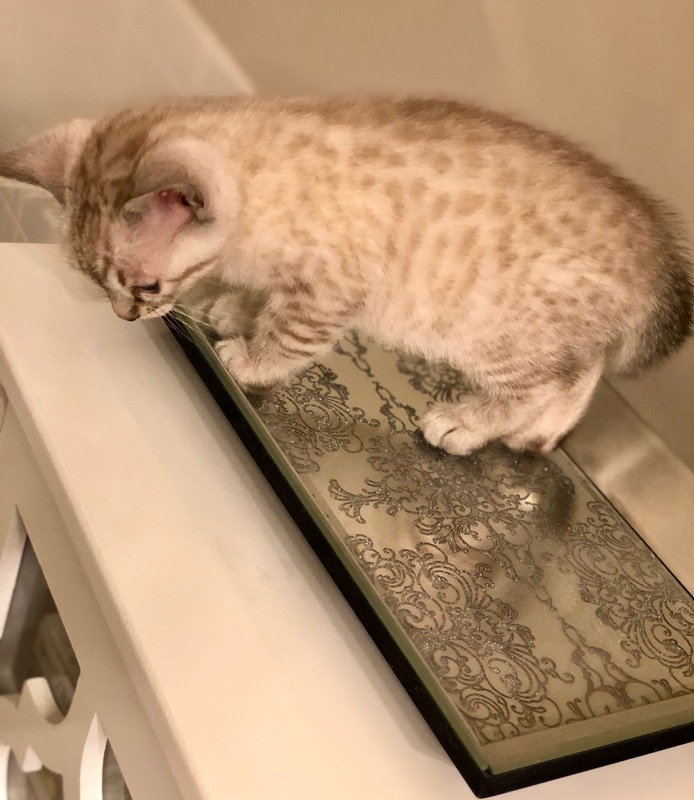 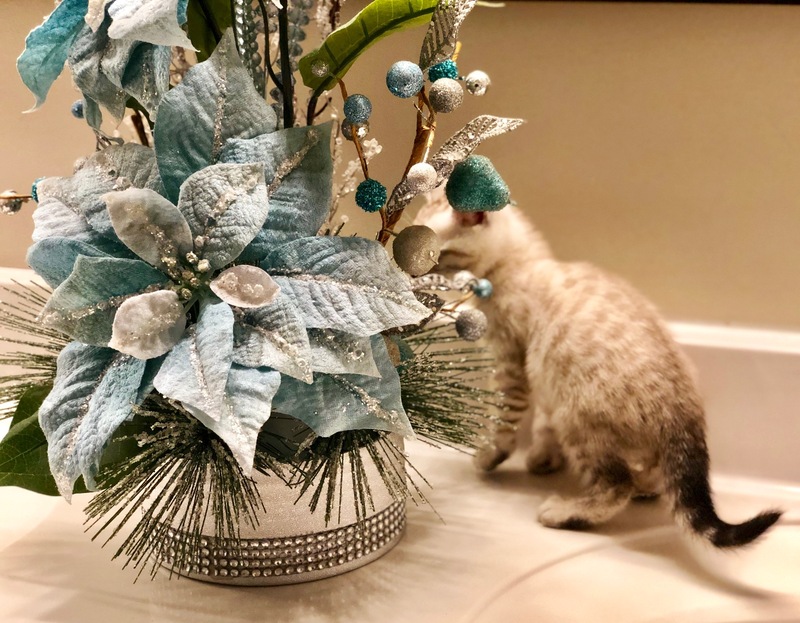 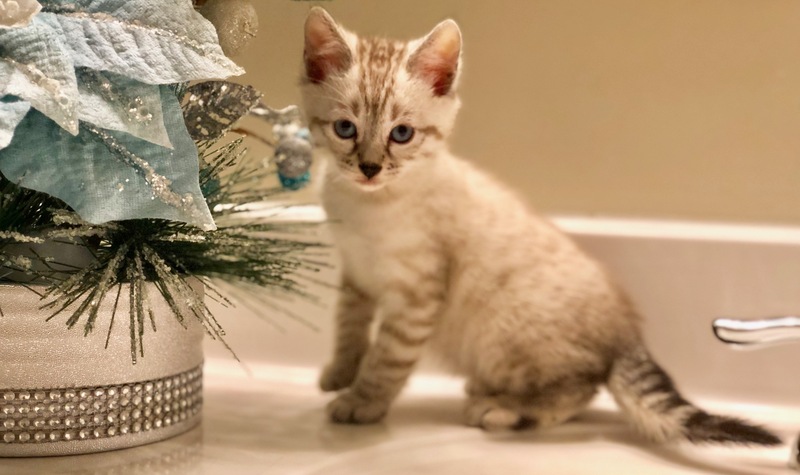 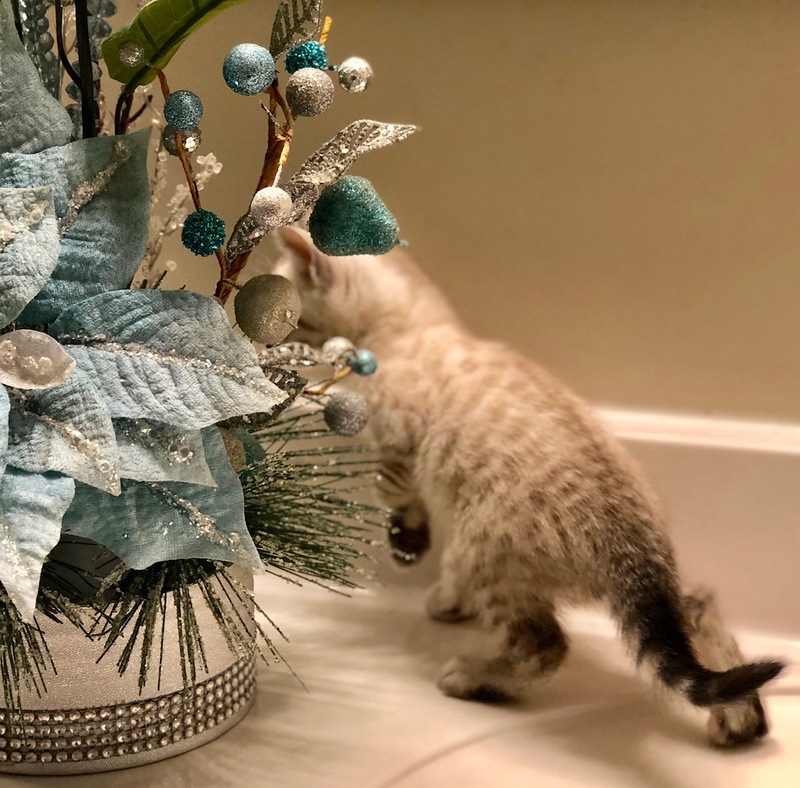 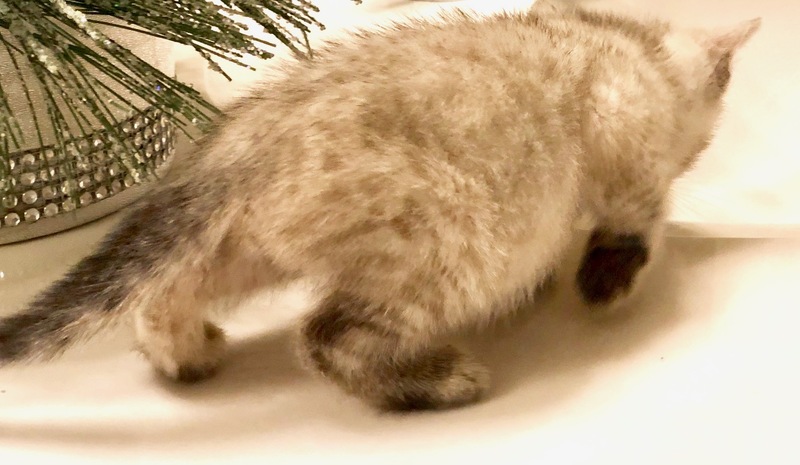 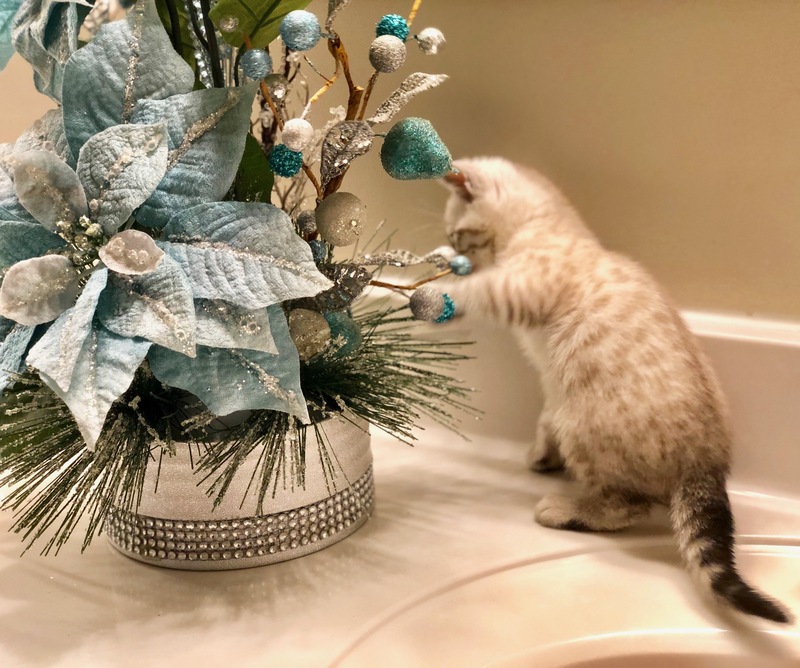 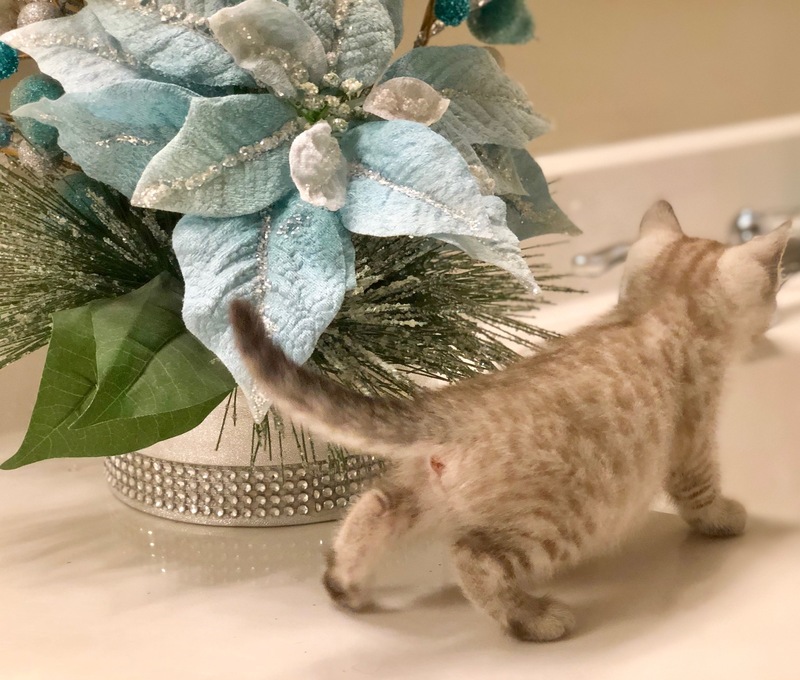 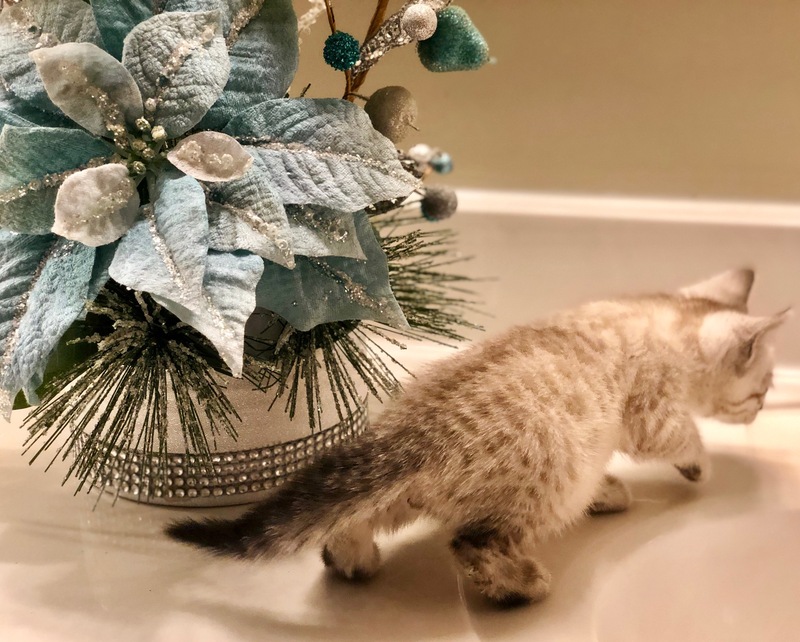 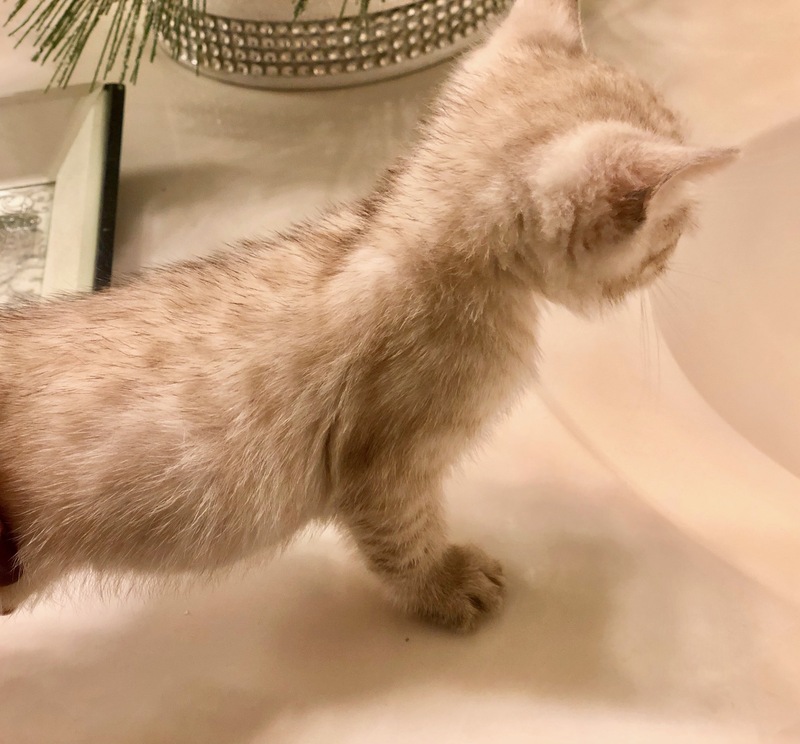 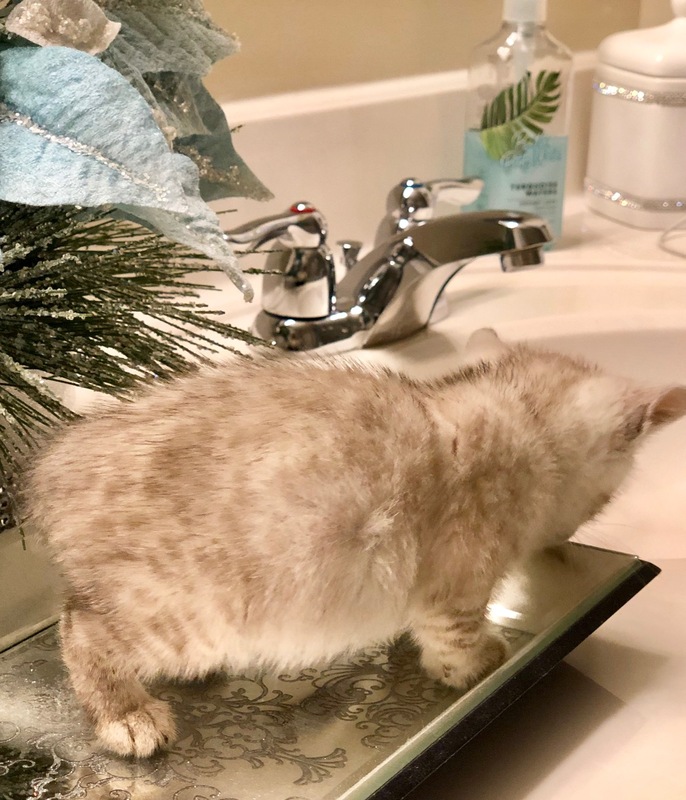 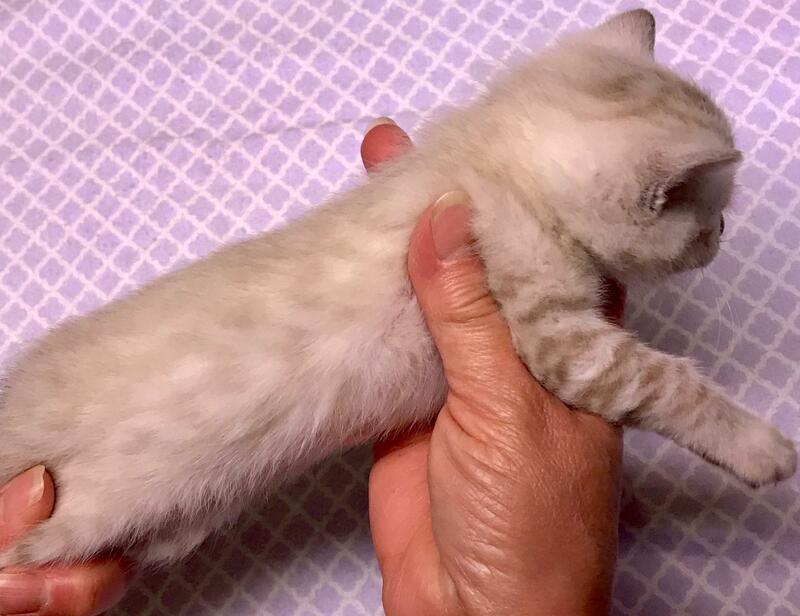 "Peppermint Patty" Seal (Spotted)Lynx Point Female- This stunning girl is a show stopper! 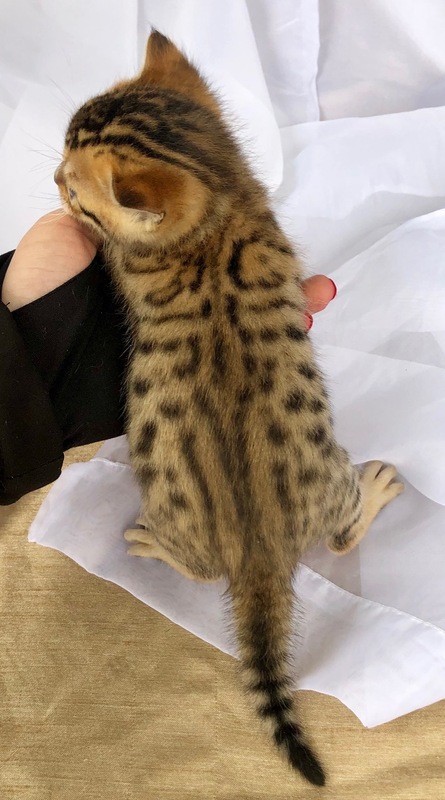 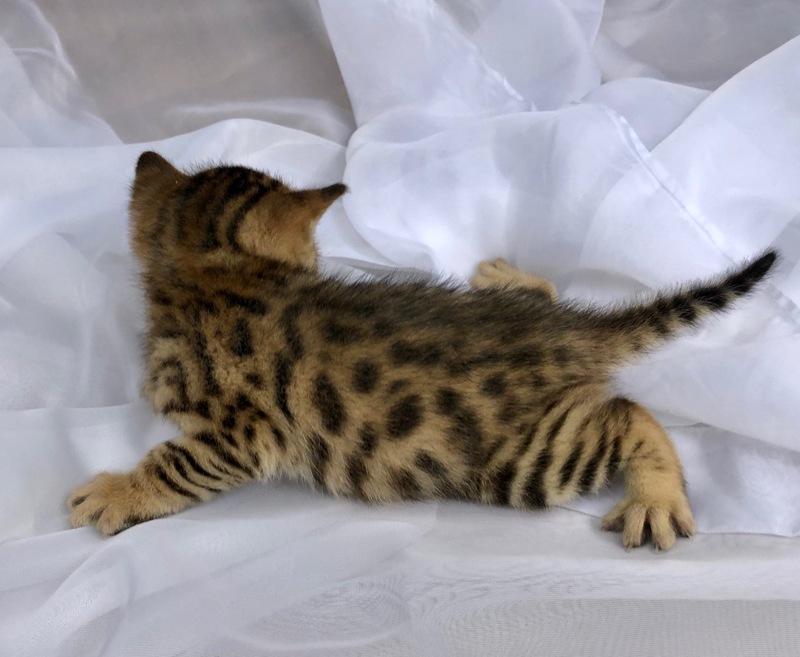 She has gorgeous bright whites and her spots will get darker as she matures. 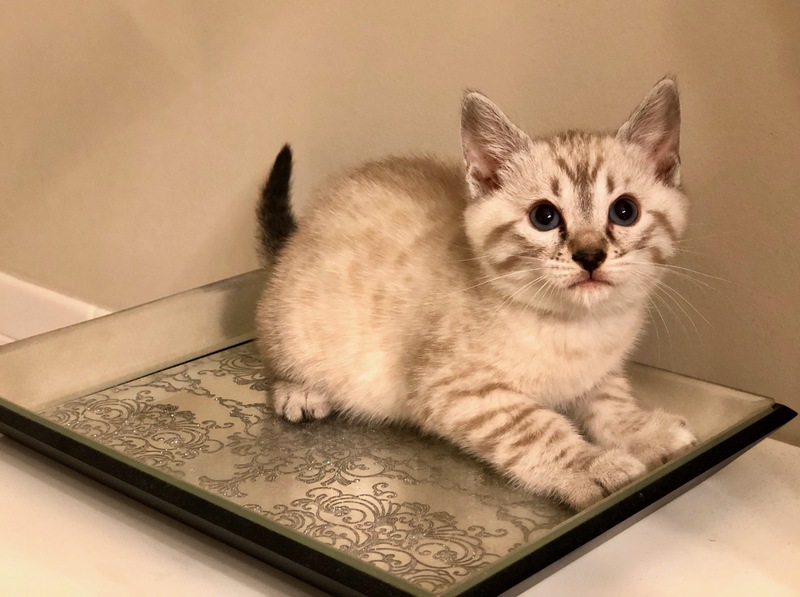 Seal Lynx Point Bengals are the only color Bengal to keep blue eyes. 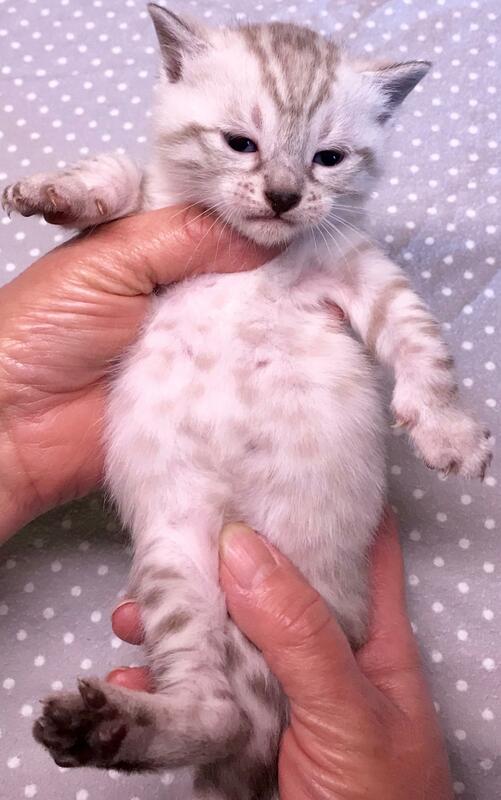 They are born completely white and their spots develop over the first two years of life.